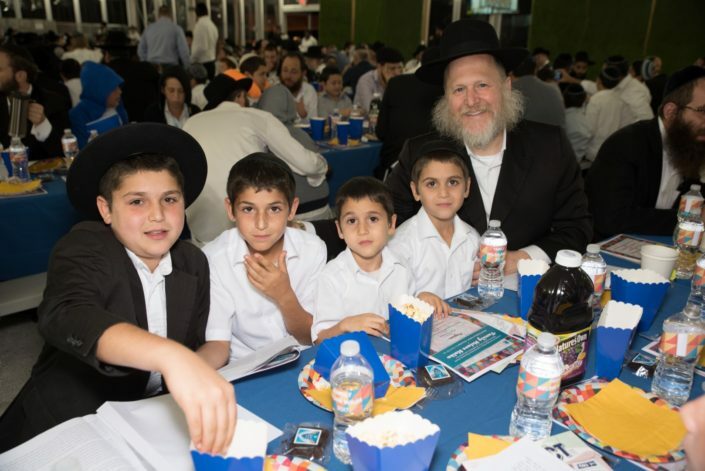 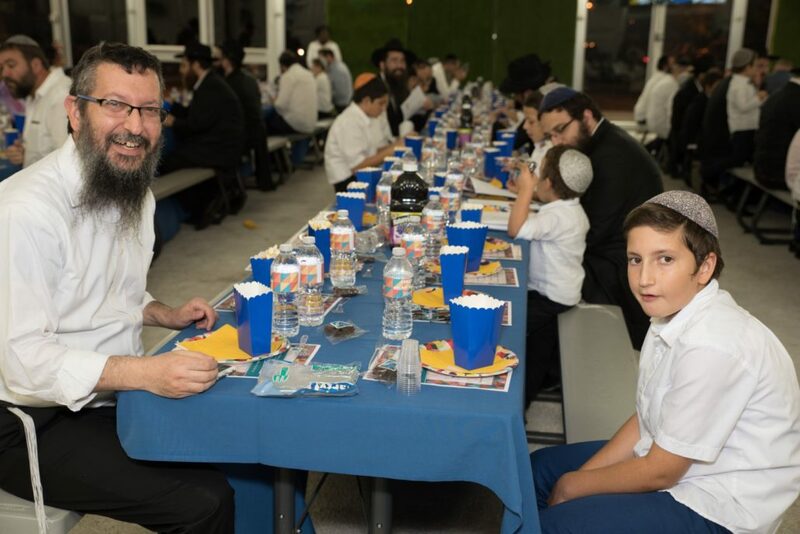 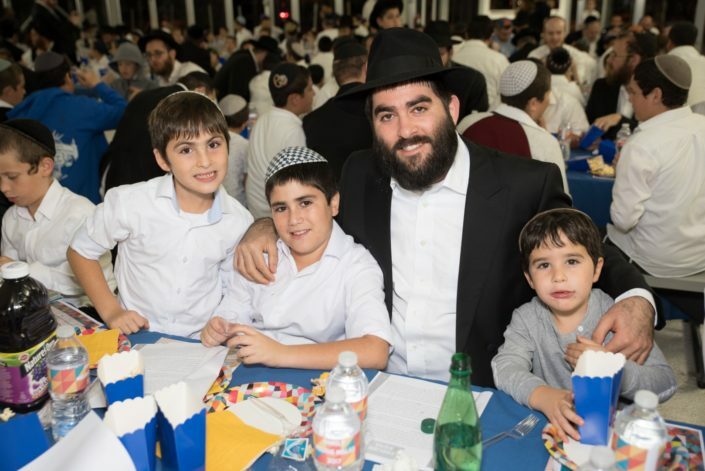 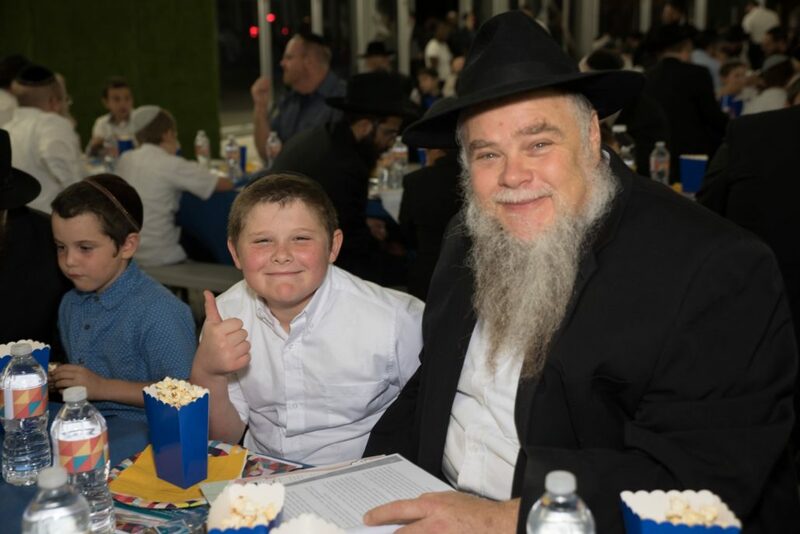 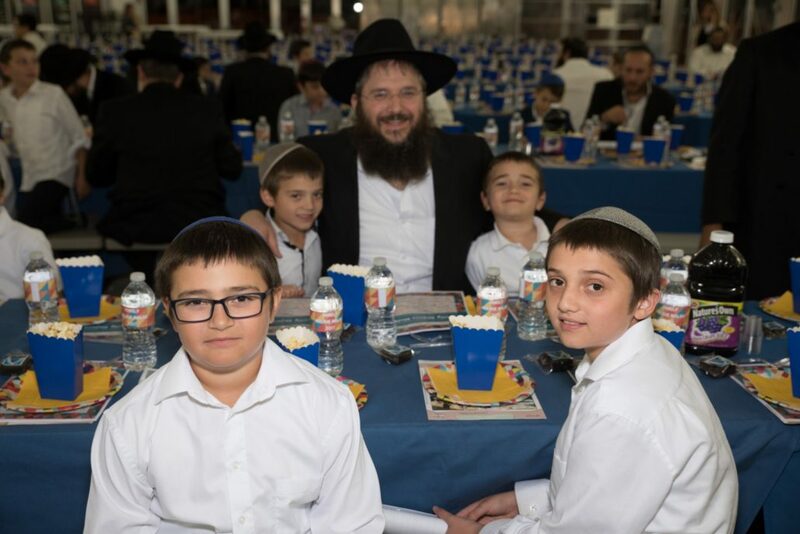 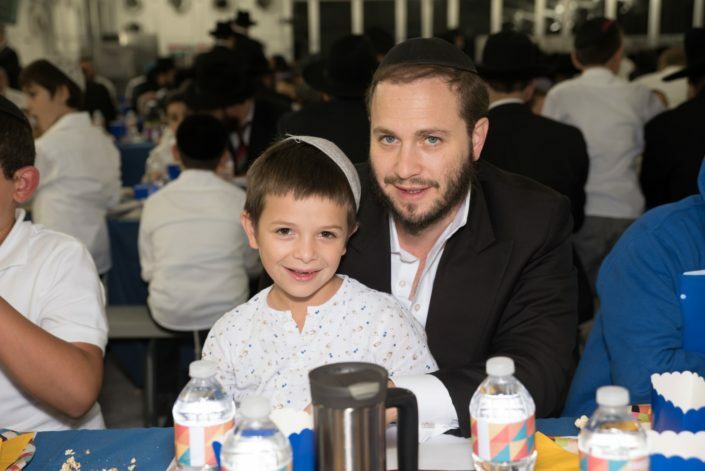 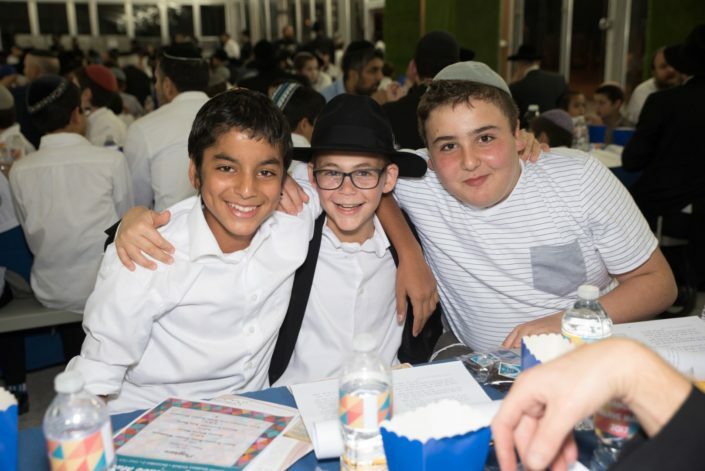 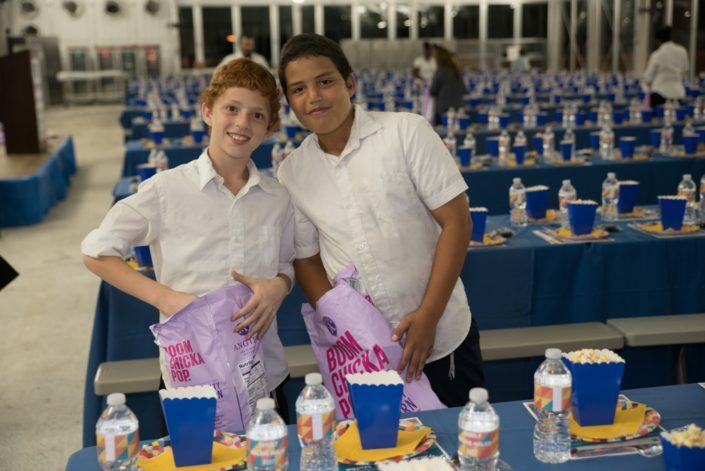 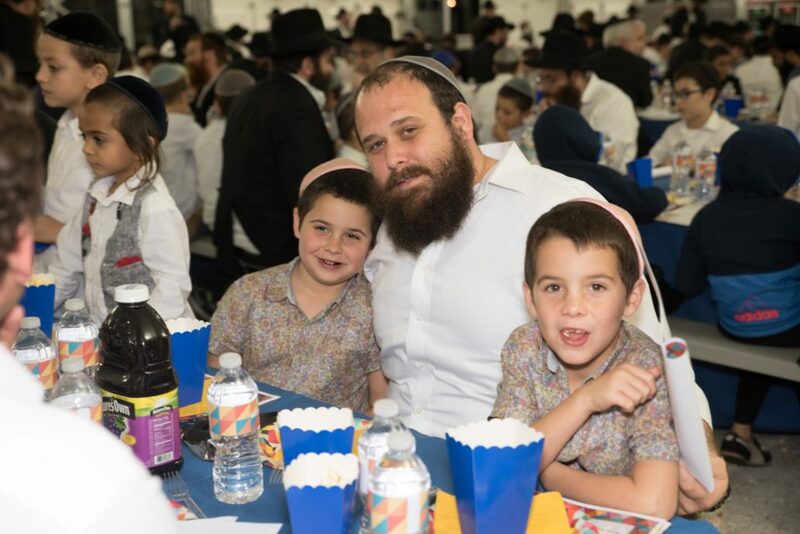 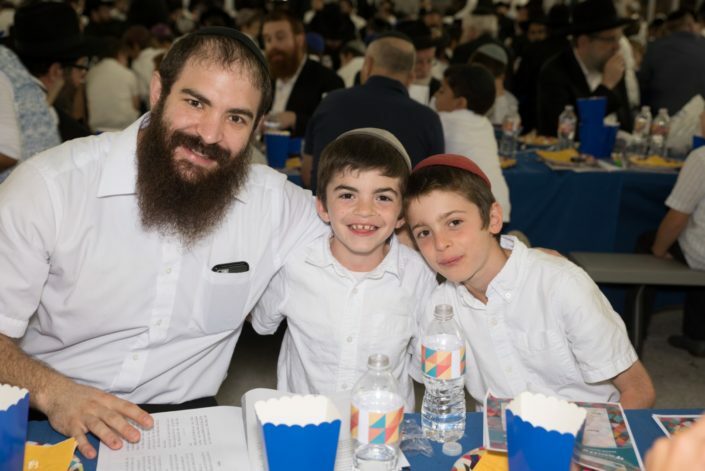 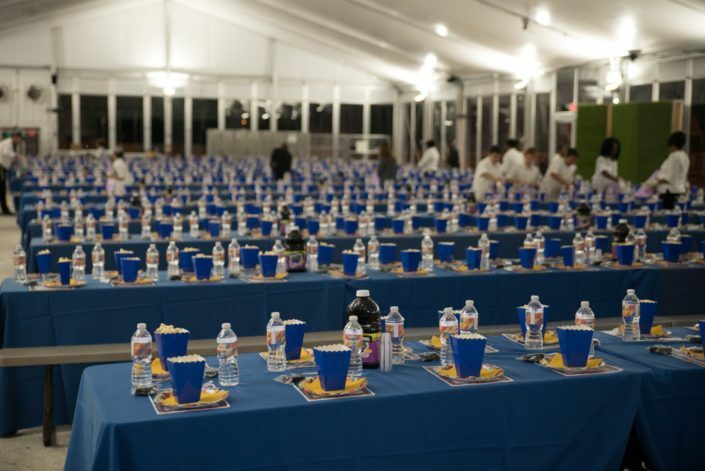 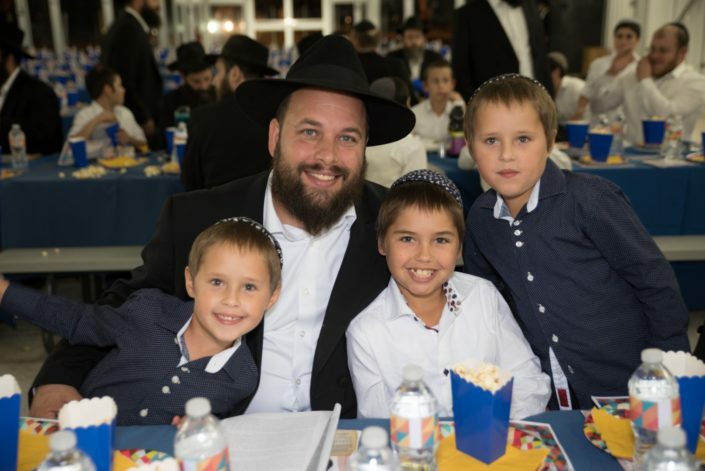 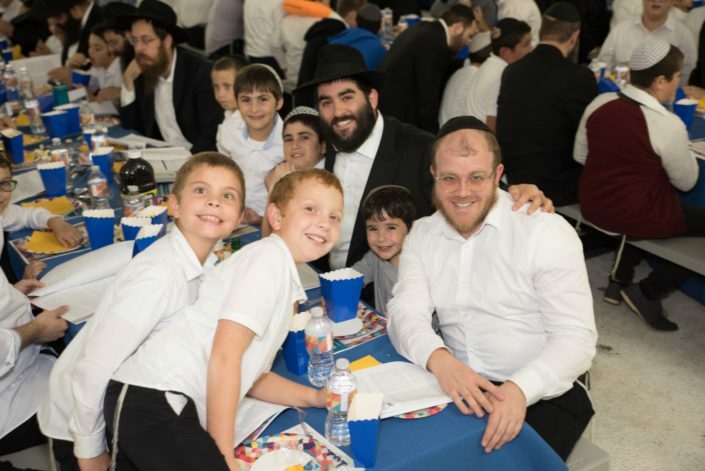 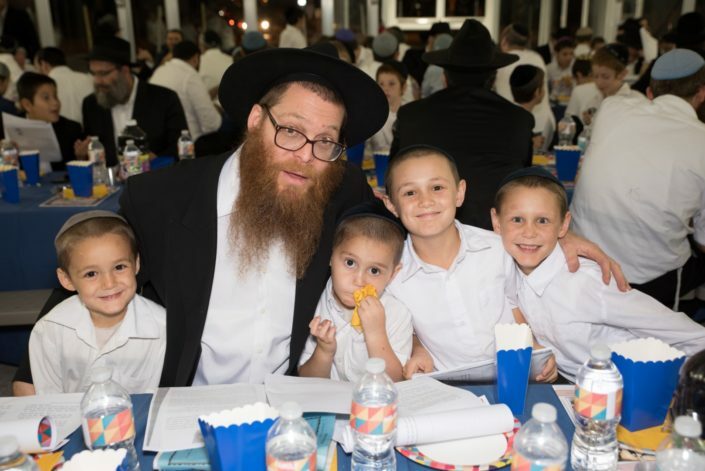 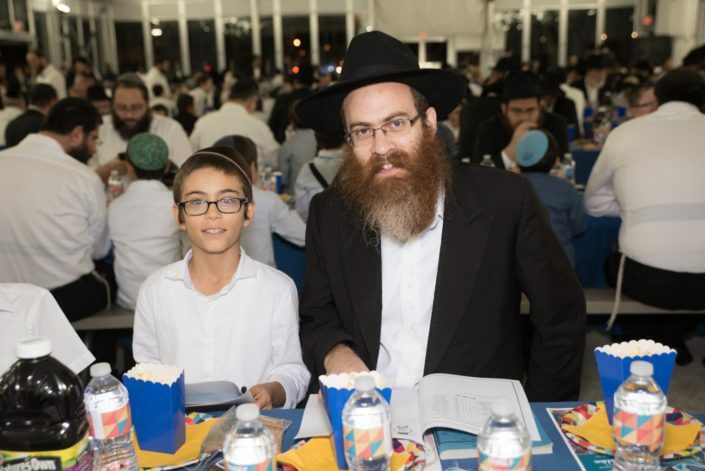 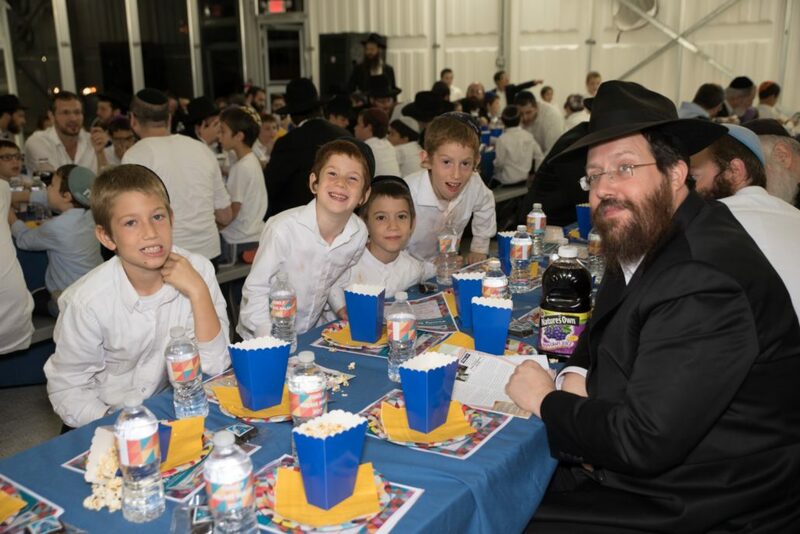 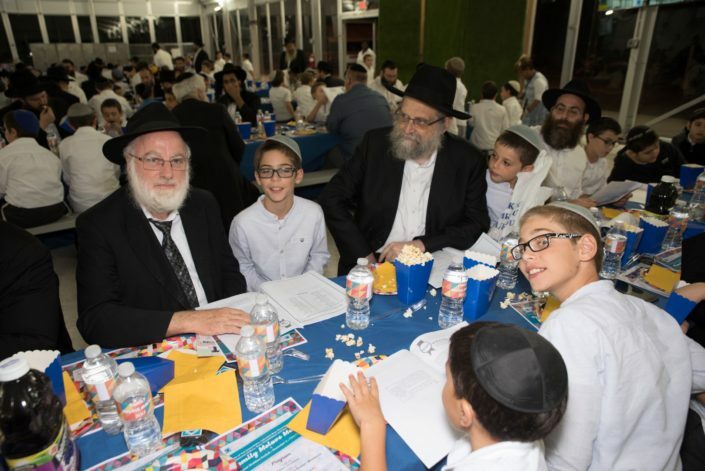 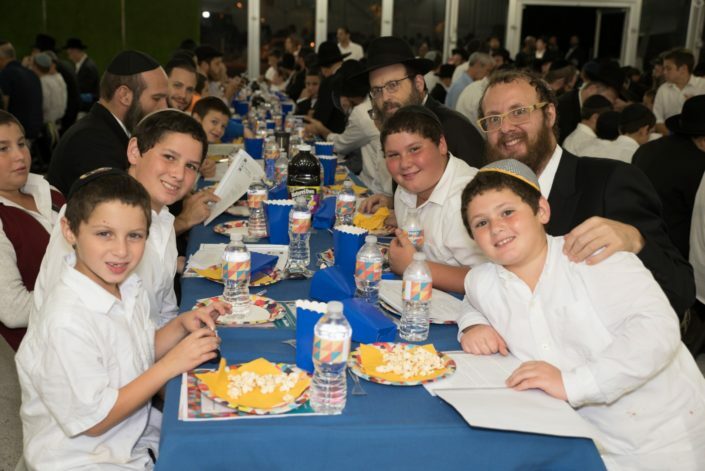 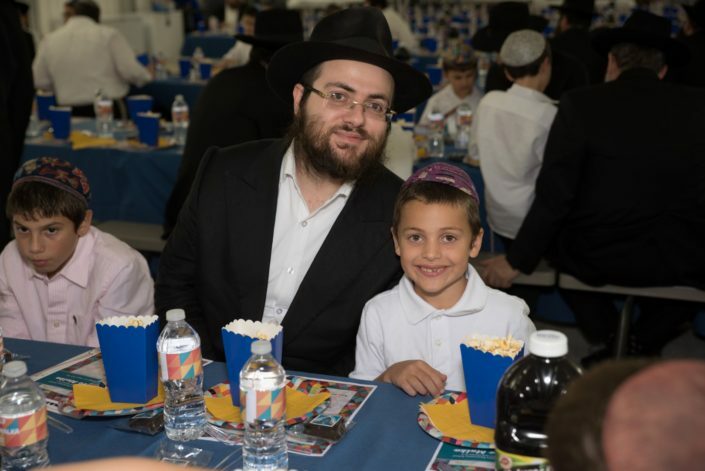 It was once again a record attendance at Lubavitch Educational Center’s Annual Family Melava Malka 5778. 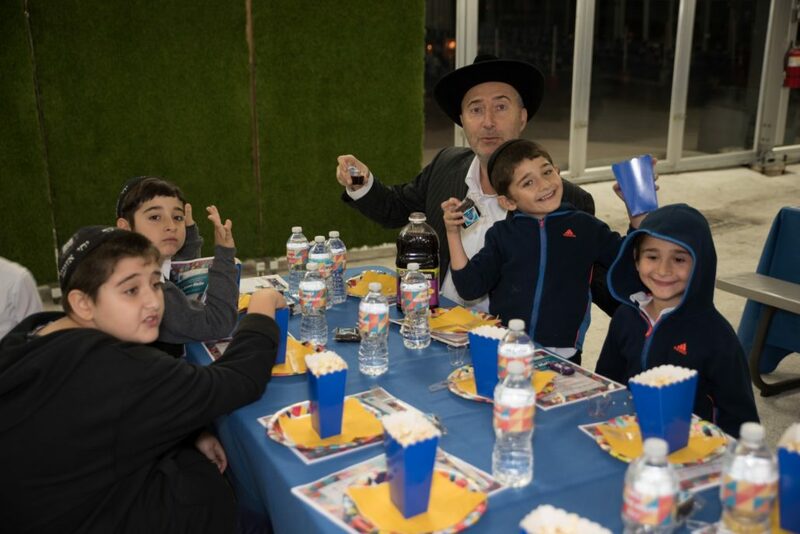 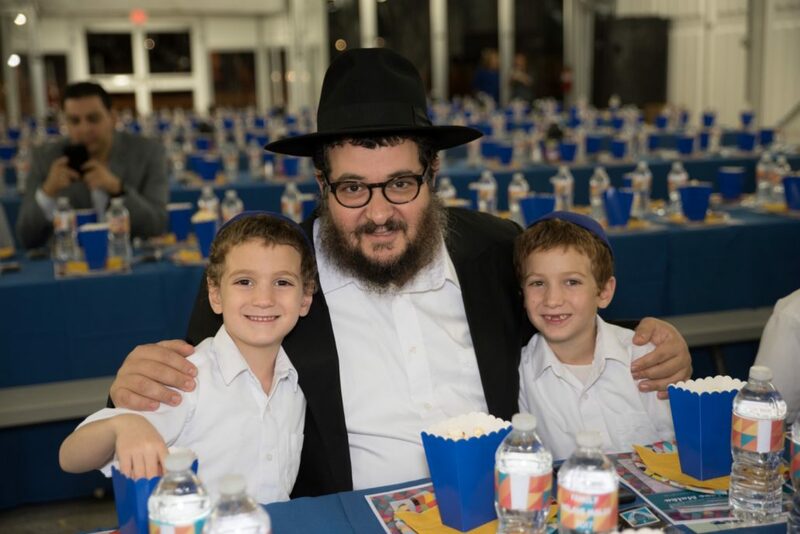 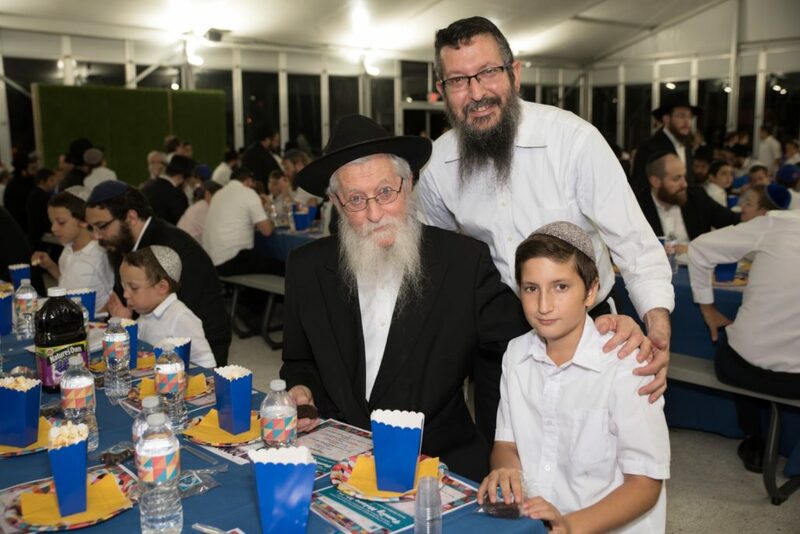 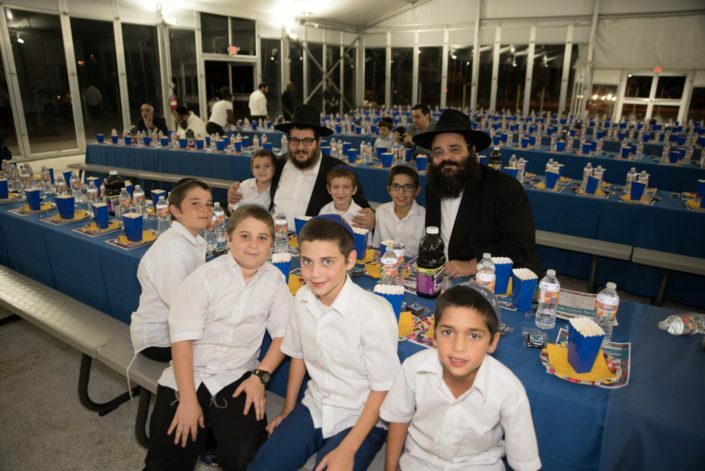 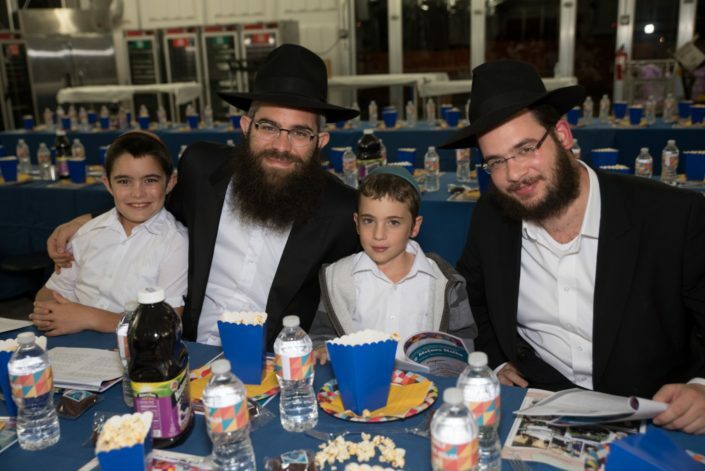 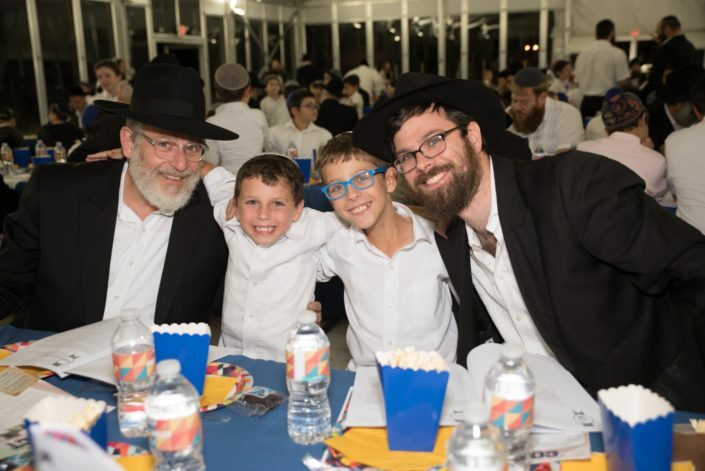 Over 800 fathers, sons, brothers and zaidies filled the newly constructed outdoor facility, for an evening of learning, entertainment and camaraderie. 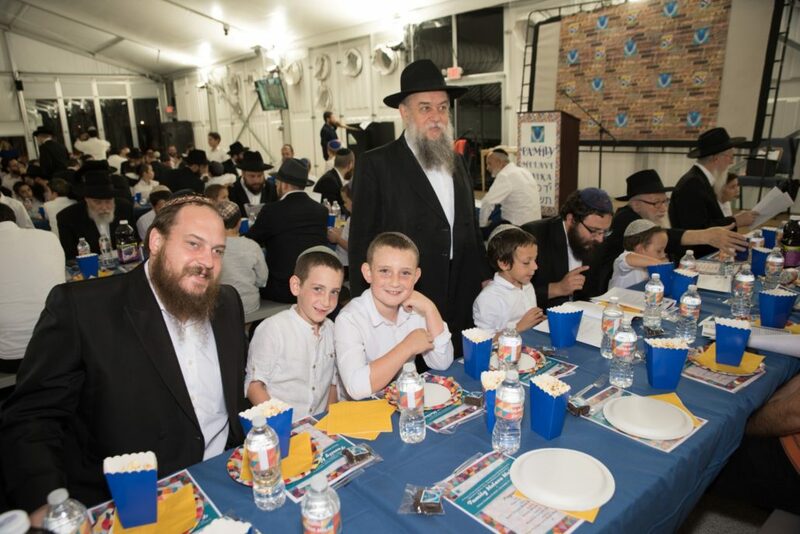 The beautifully decorated hall was an exciting indication of what was in store for the evening. 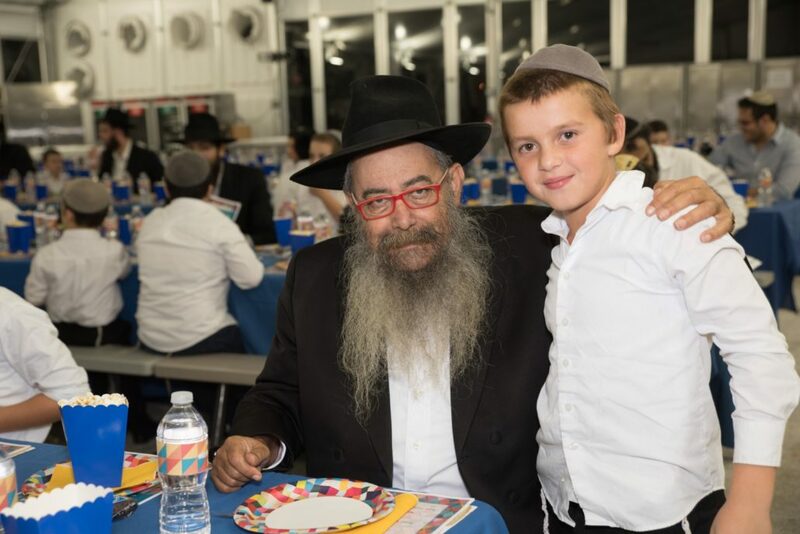 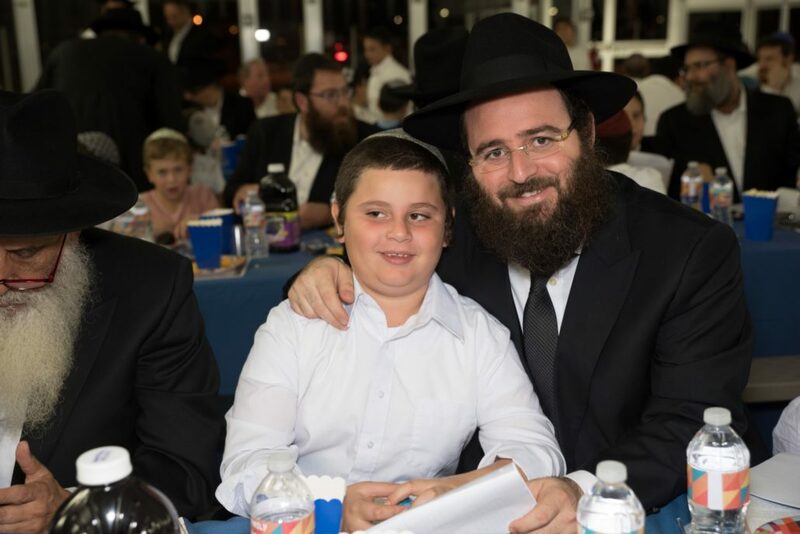 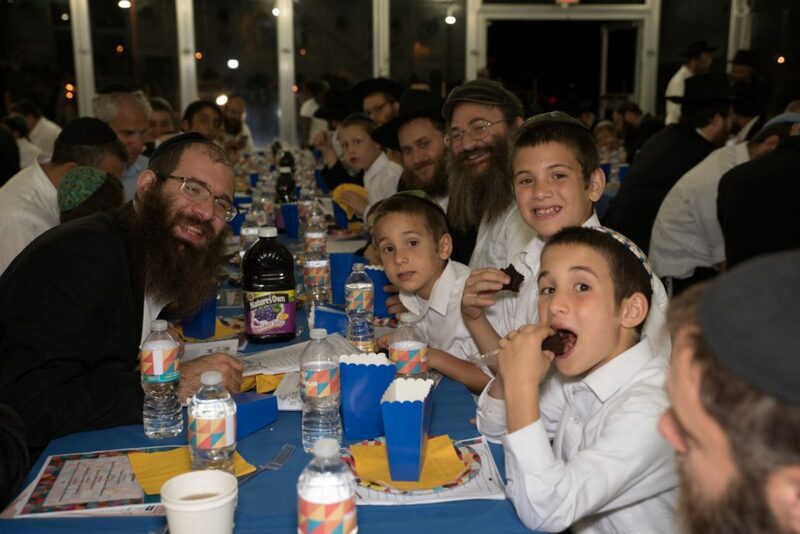 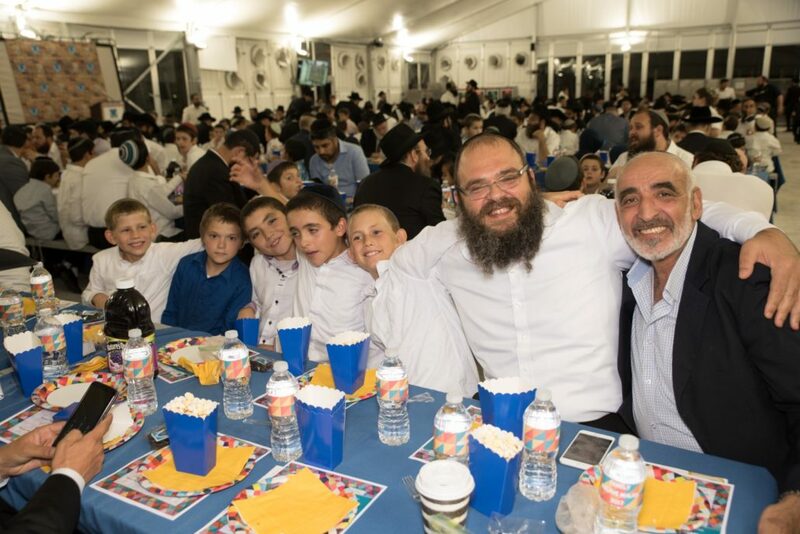 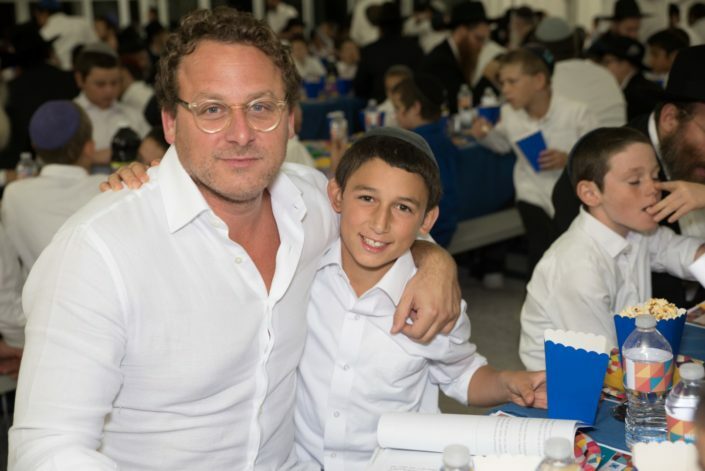 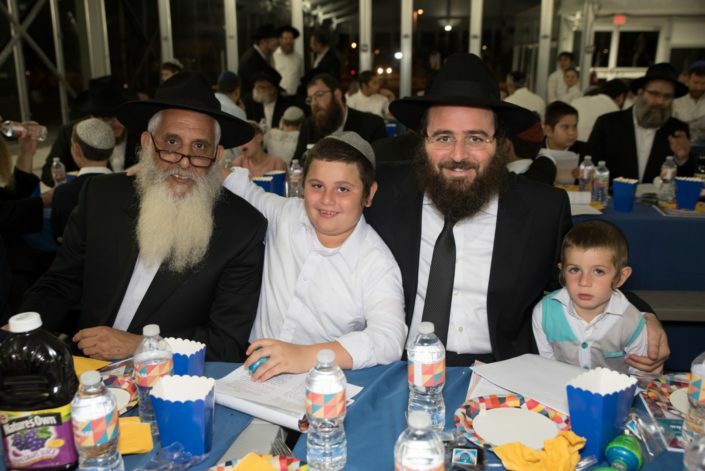 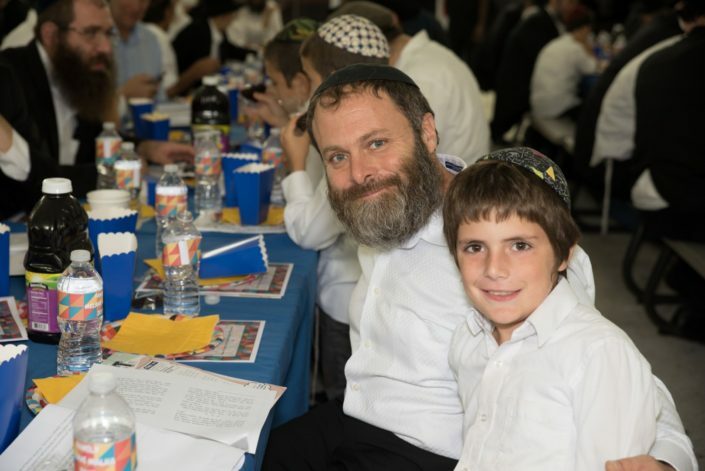 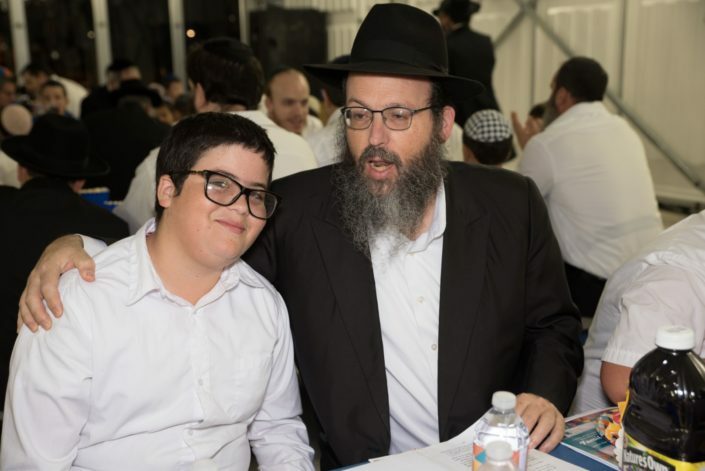 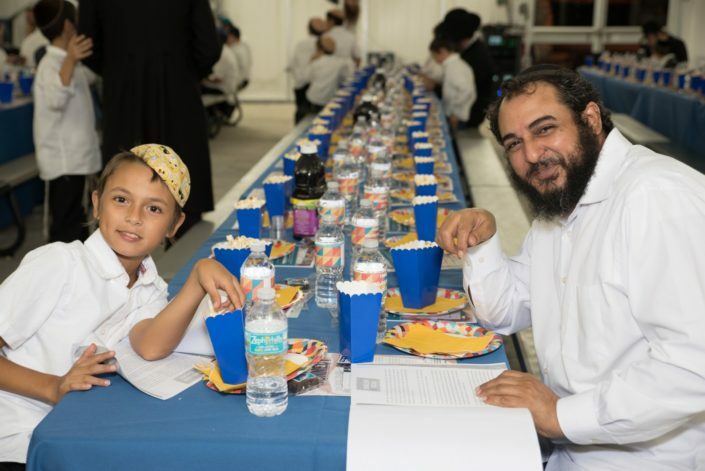 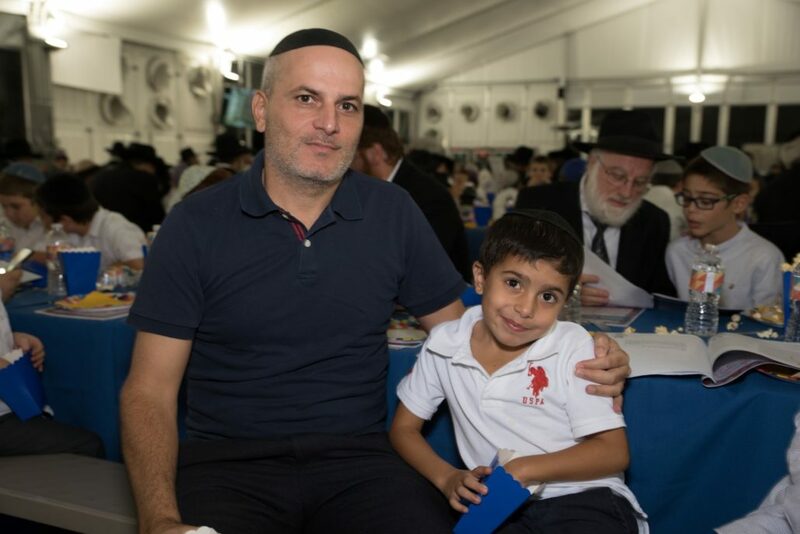 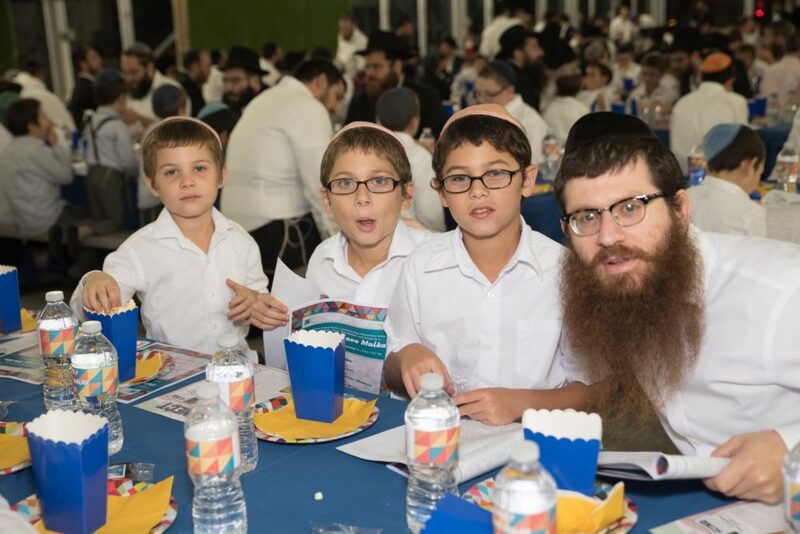 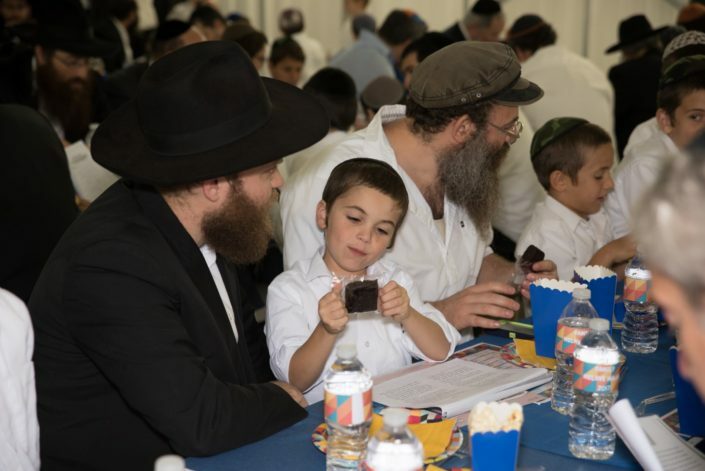 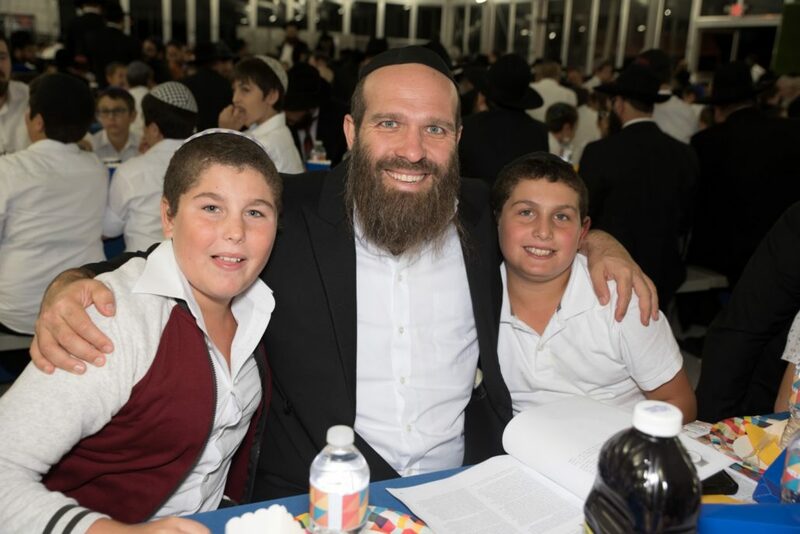 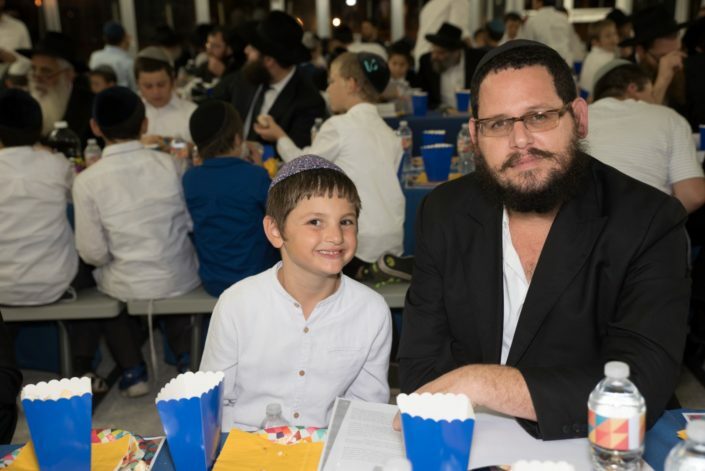 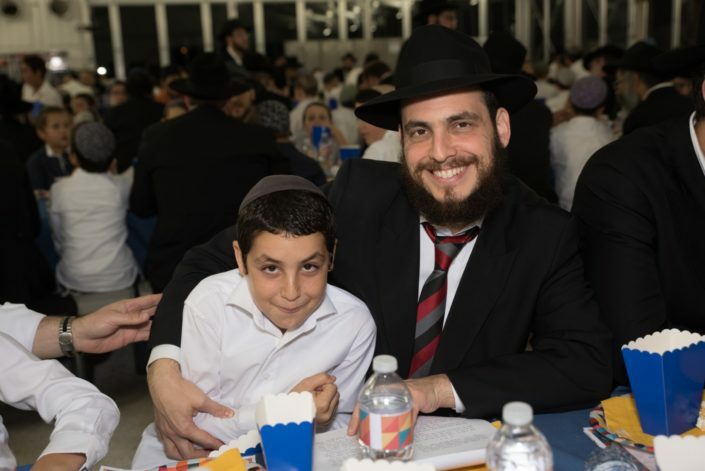 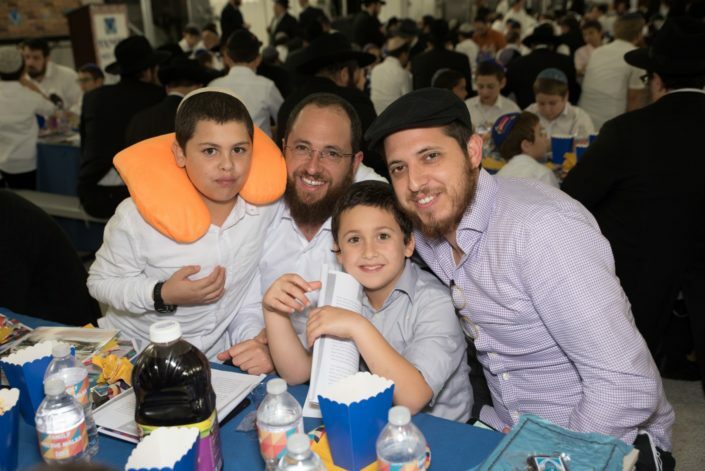 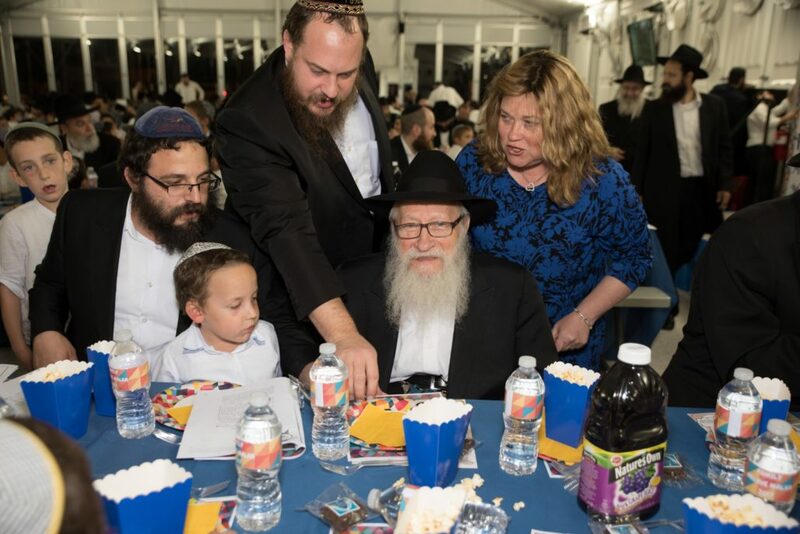 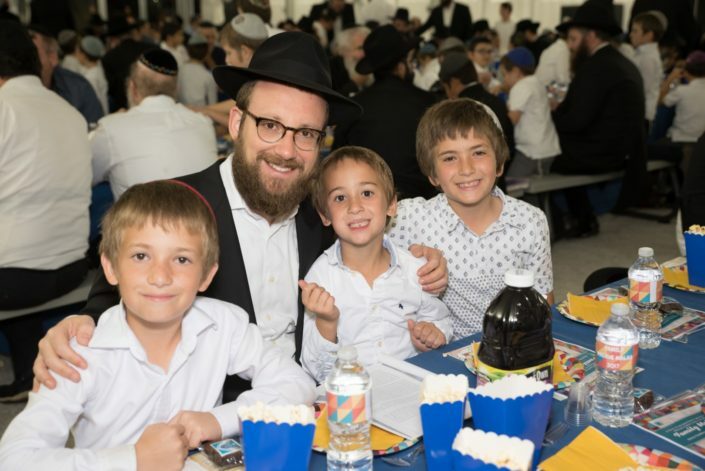 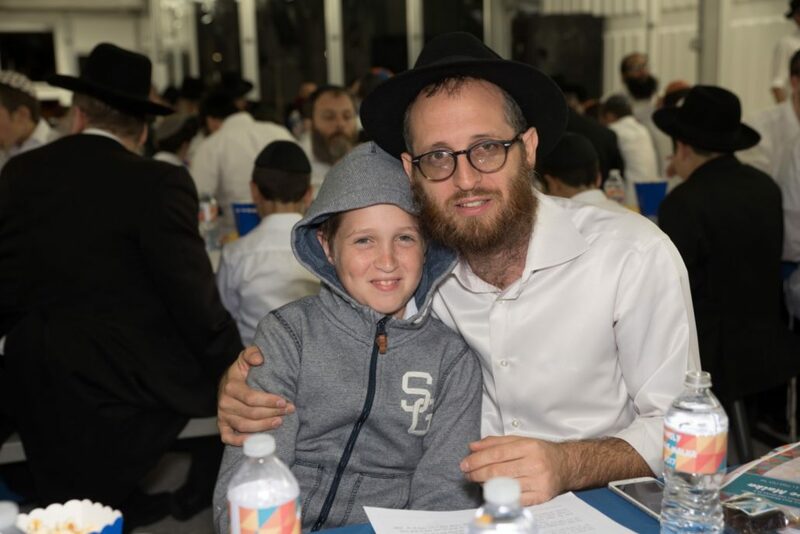 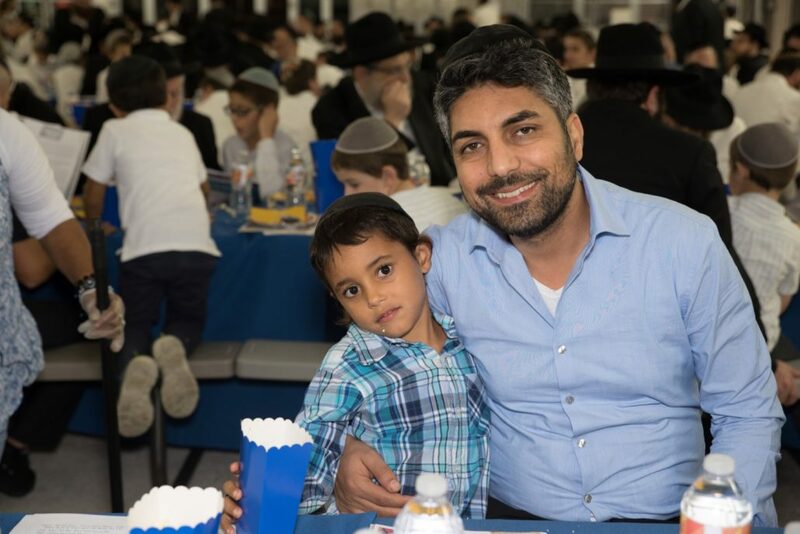 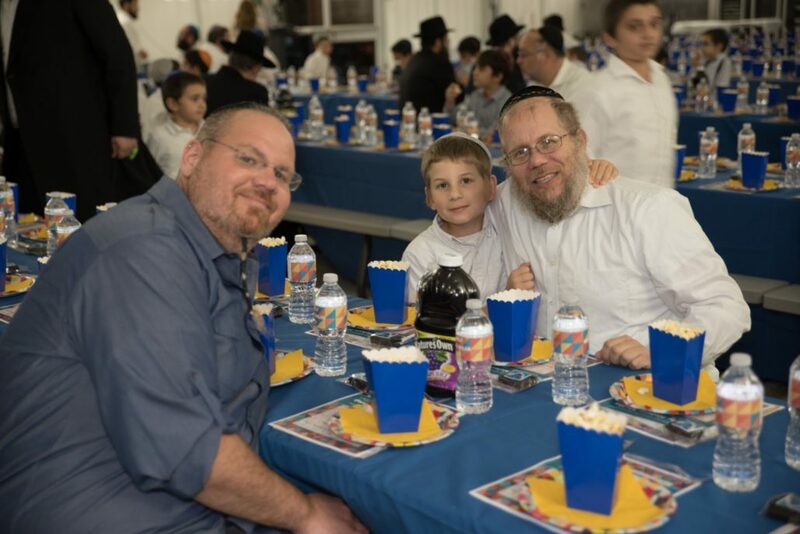 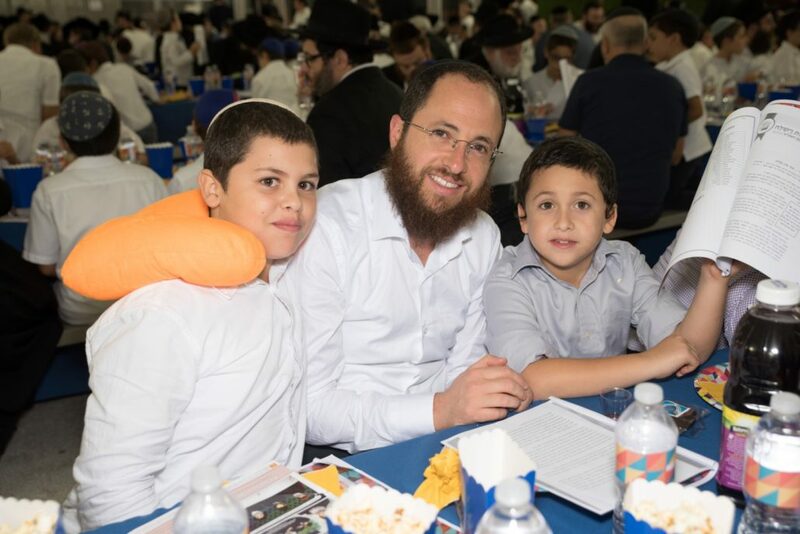 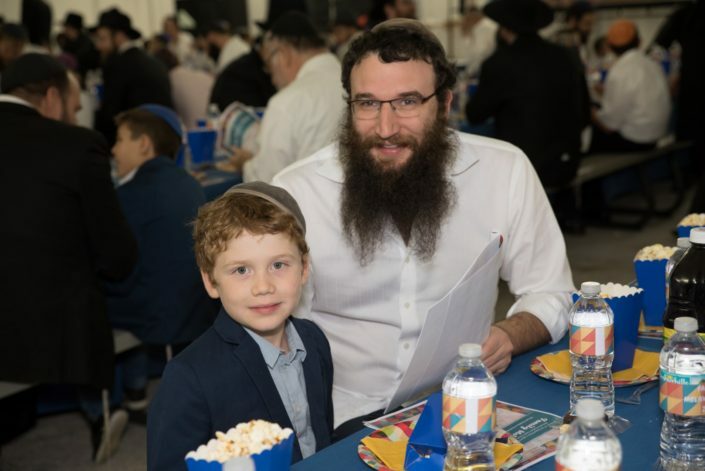 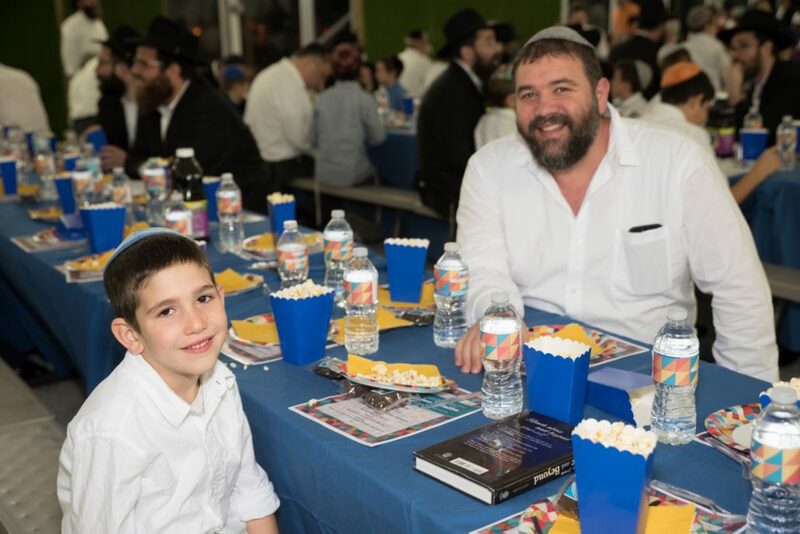 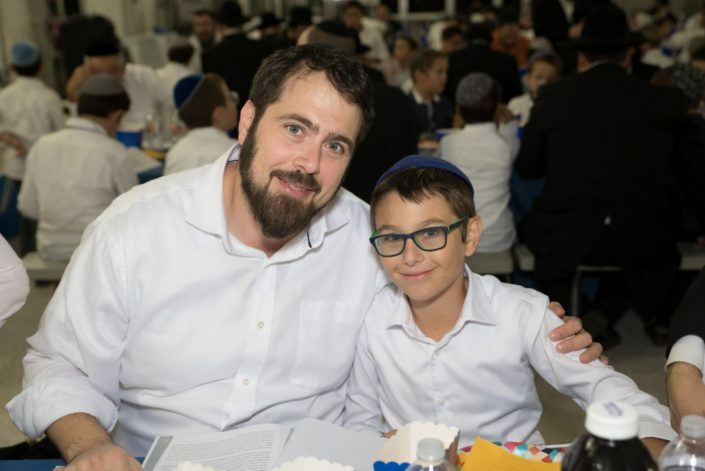 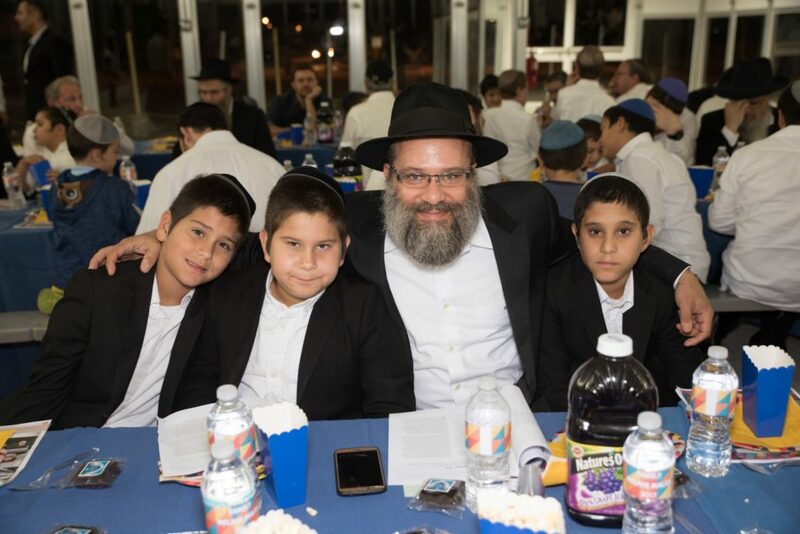 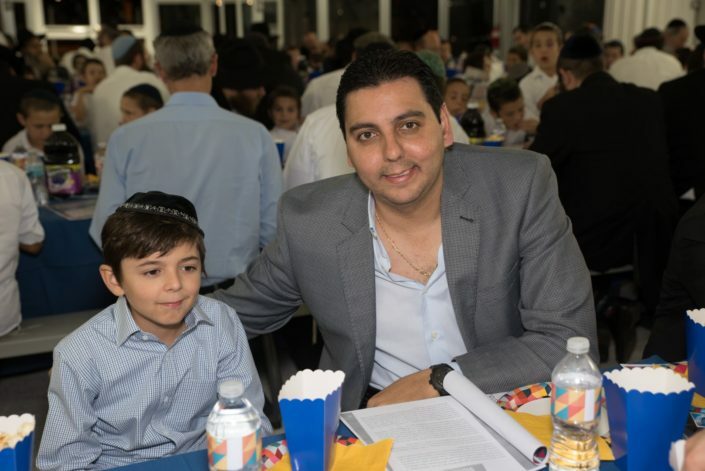 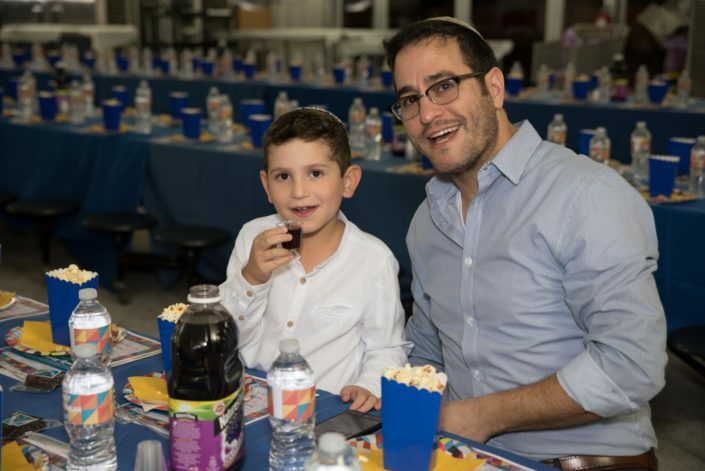 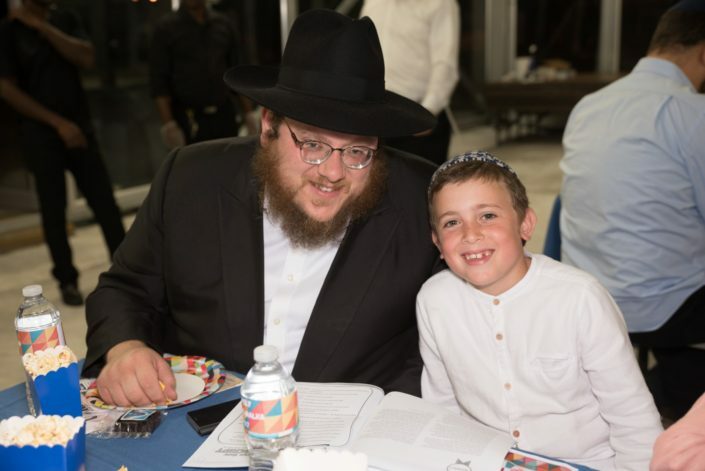 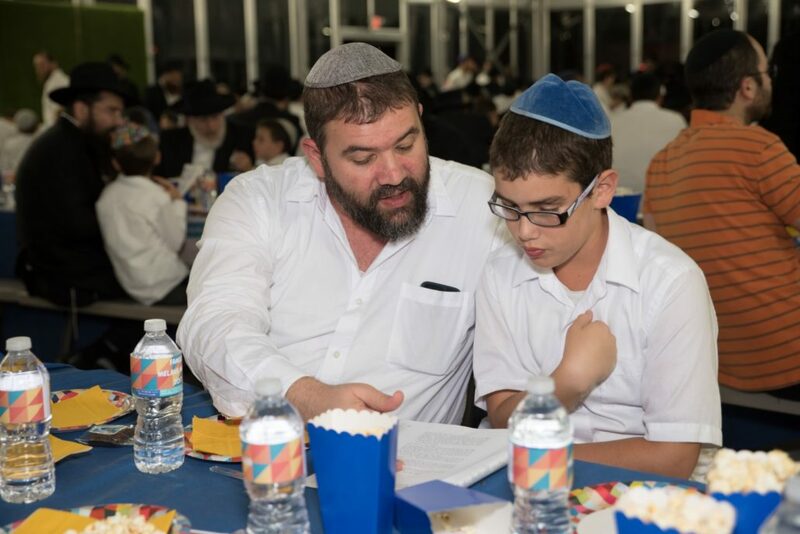 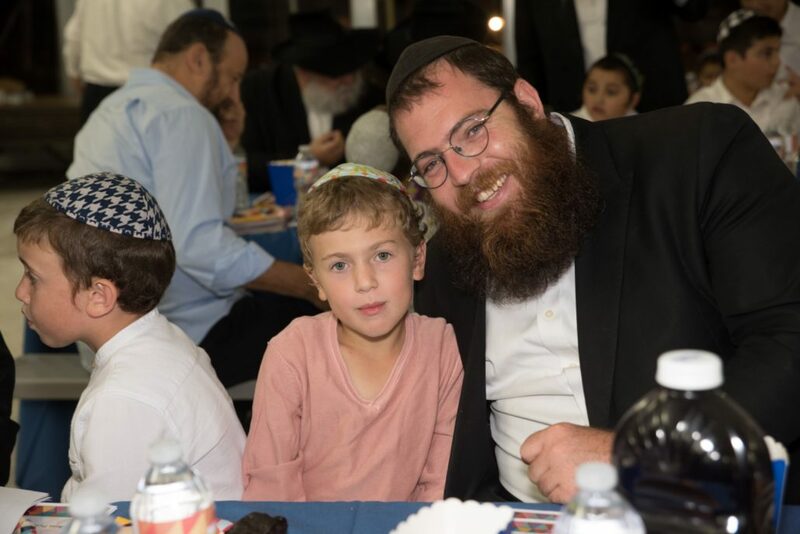 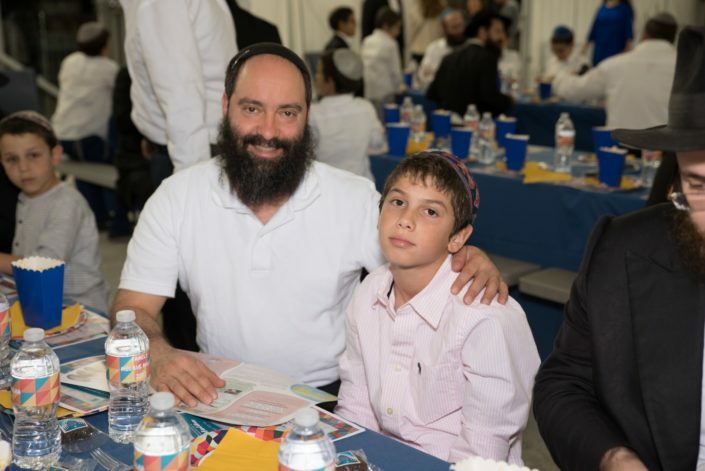 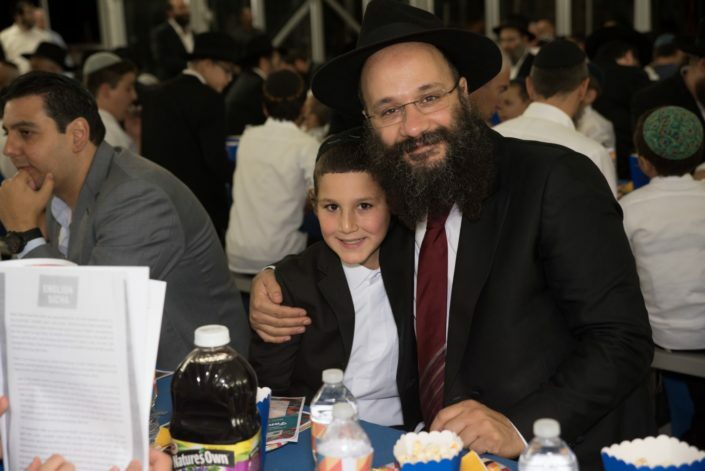 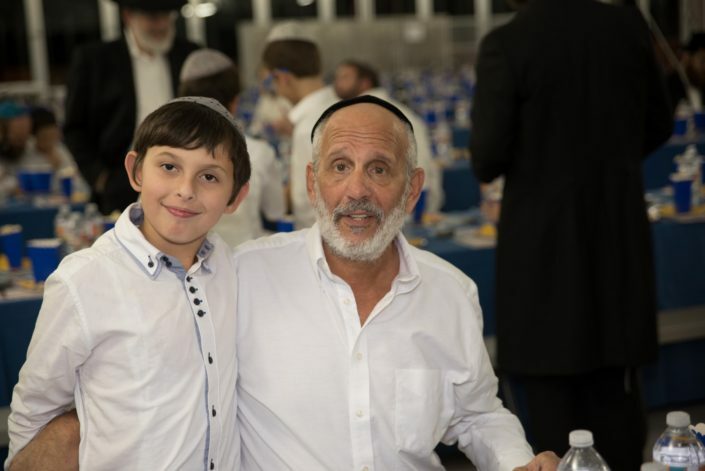 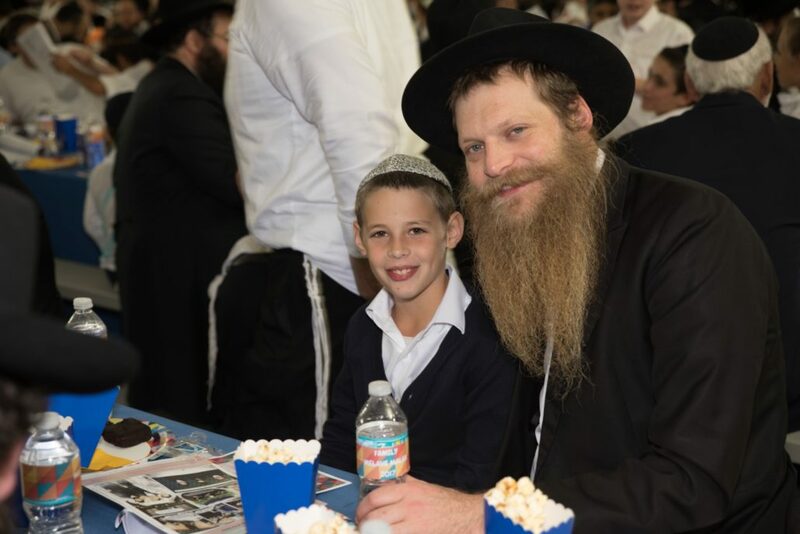 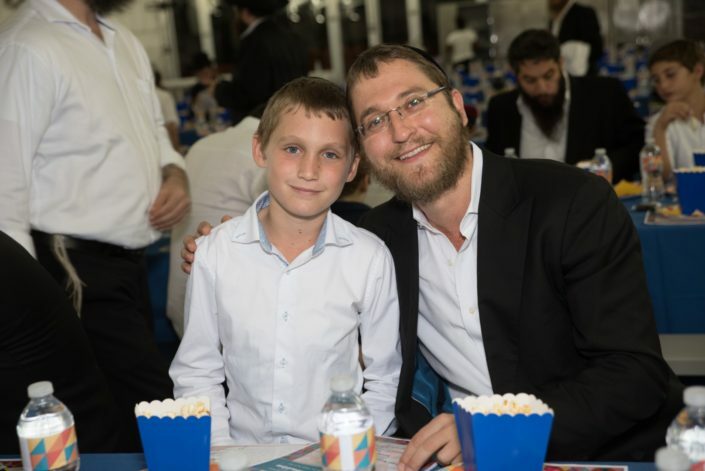 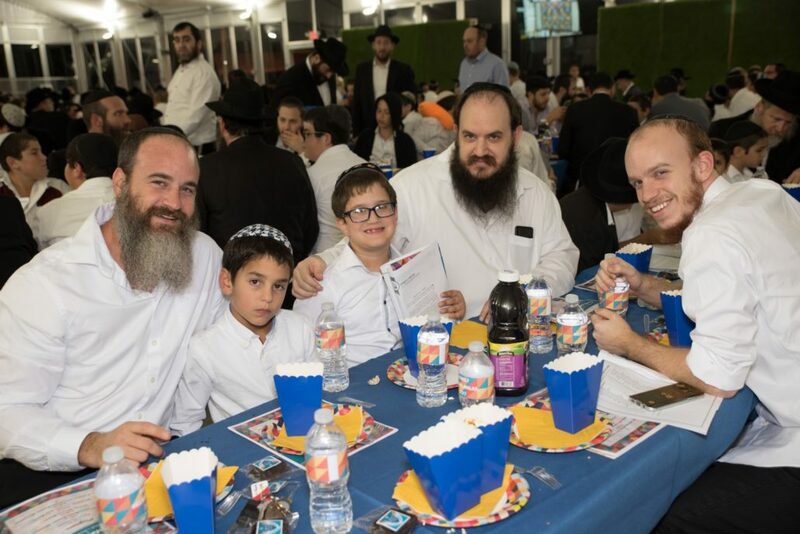 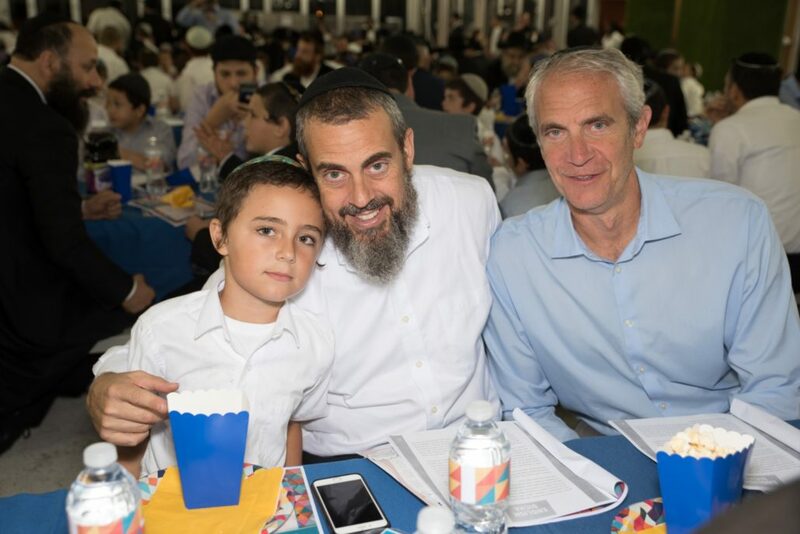 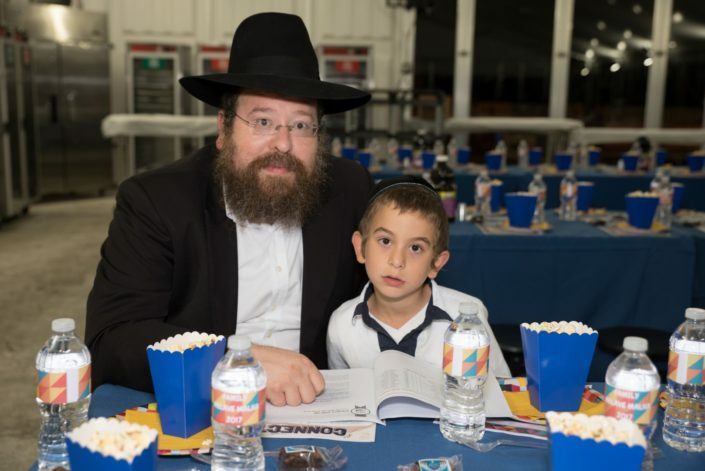 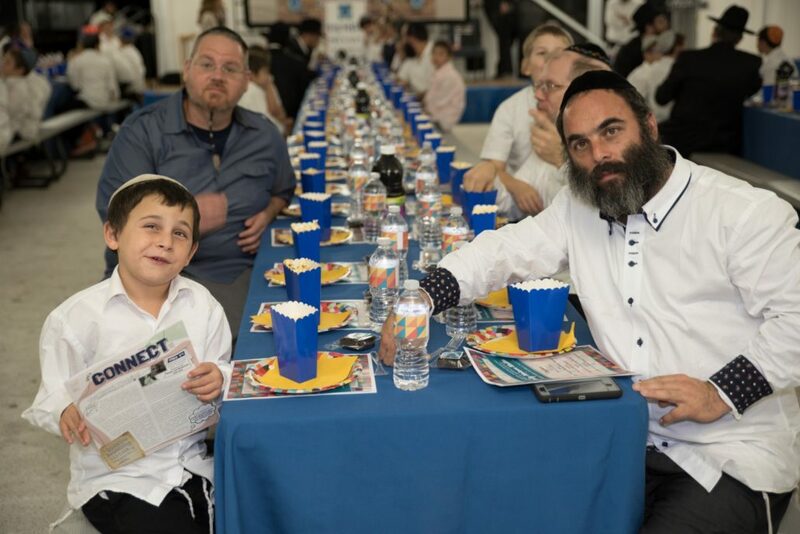 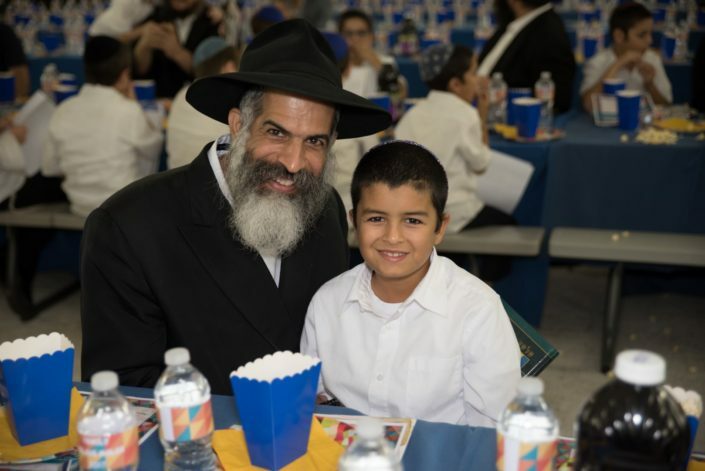 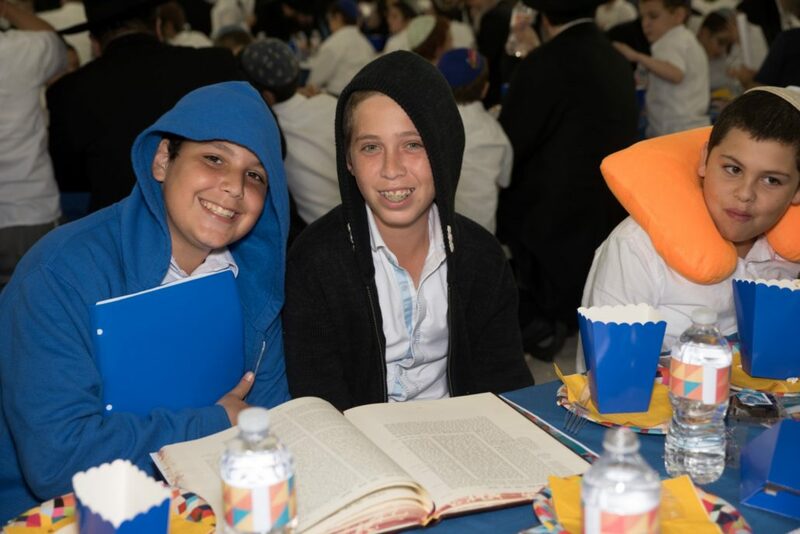 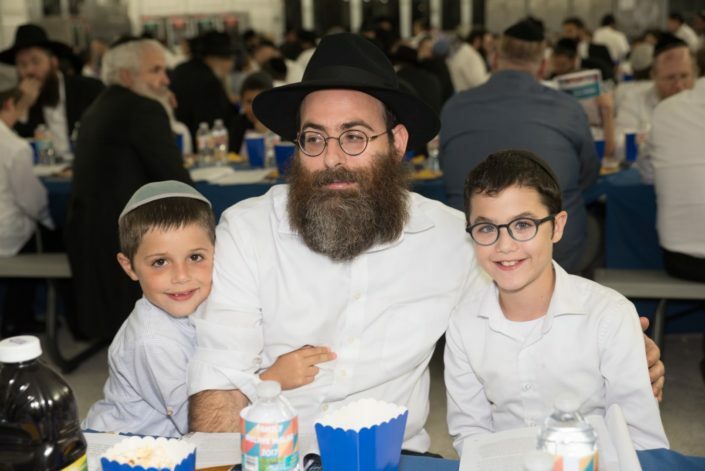 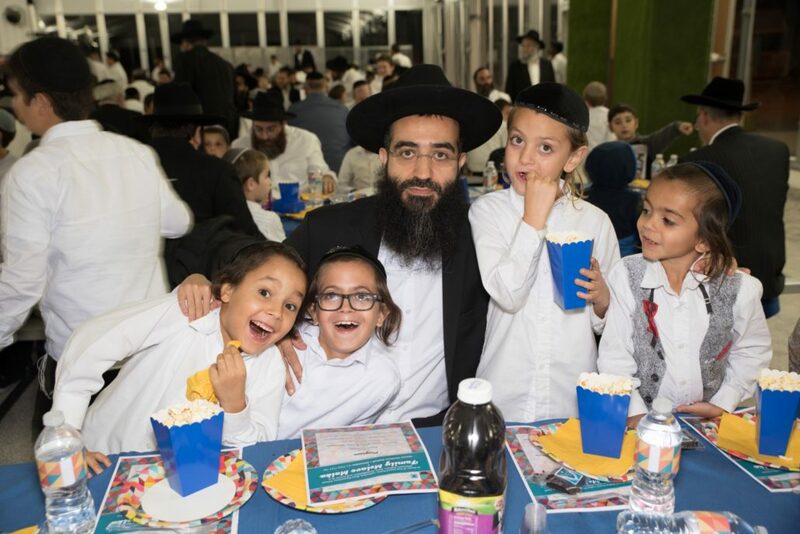 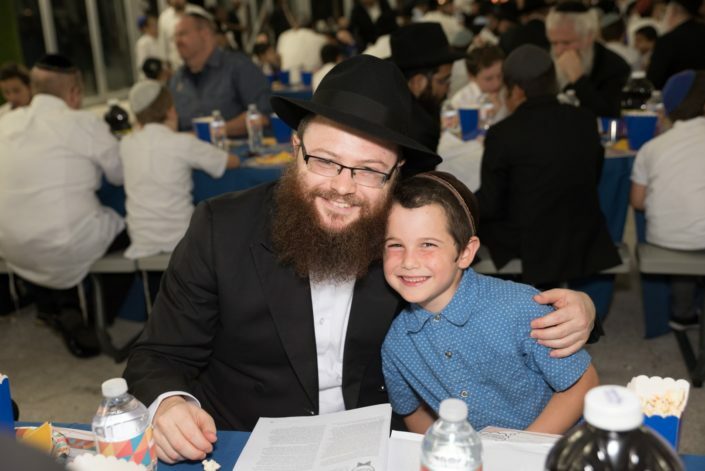 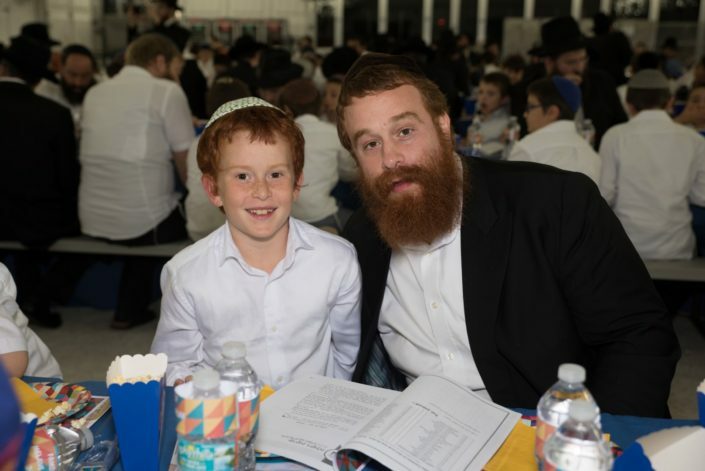 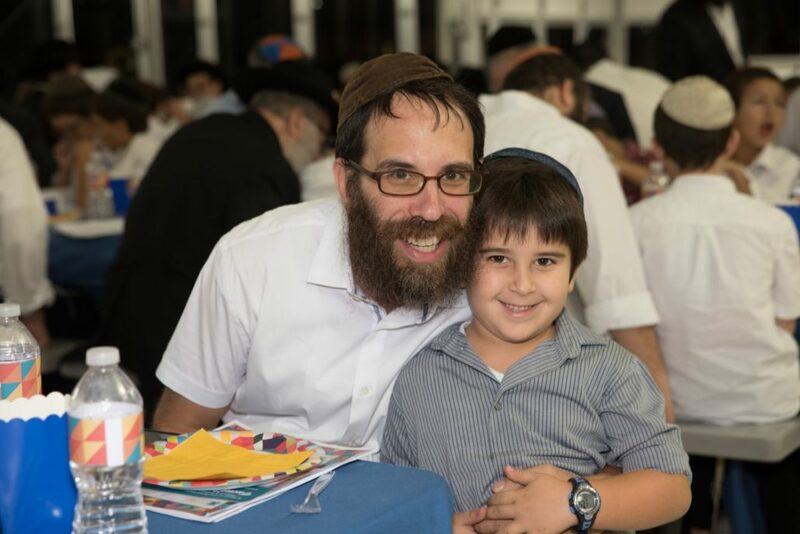 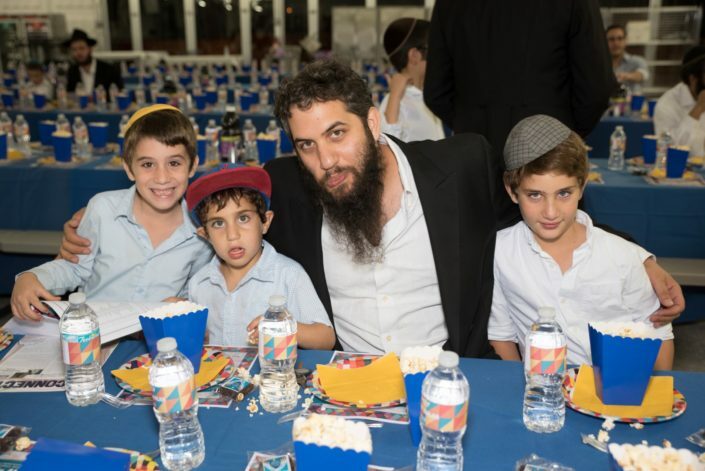 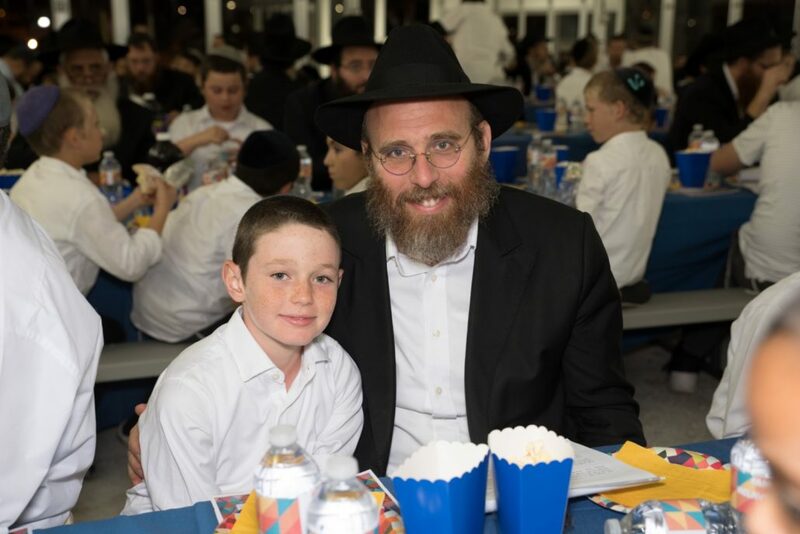 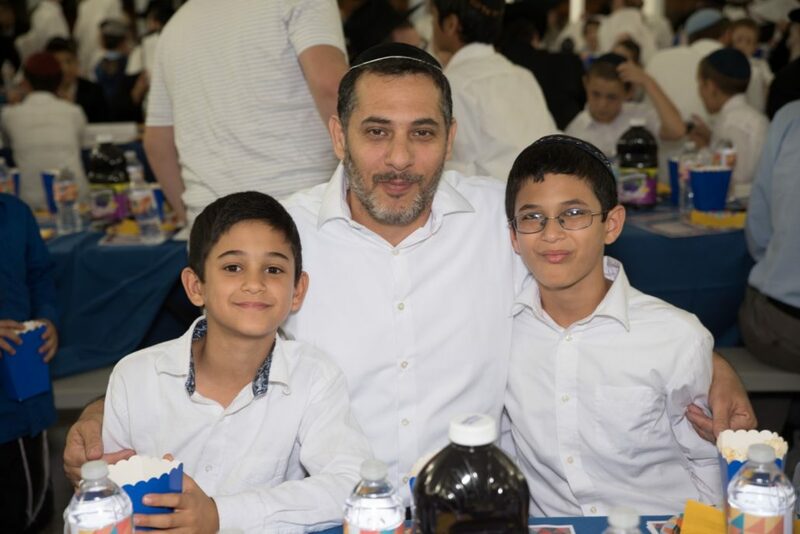 The program began with organized learning program between fathers, zaidies and sons, which was followed by a melave malka. 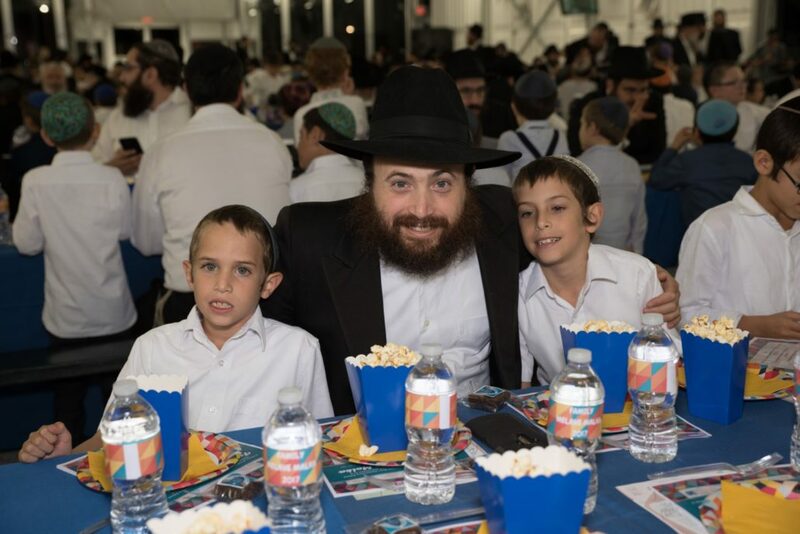 Honoring this year’s event was Rabbi Shimmy Weinbaum, International Director of Tzivos Hashem International, who inspired the guests with personal stories on the tremendous success of Tzivos Hashem, and with a call to action for everyone—young and old. 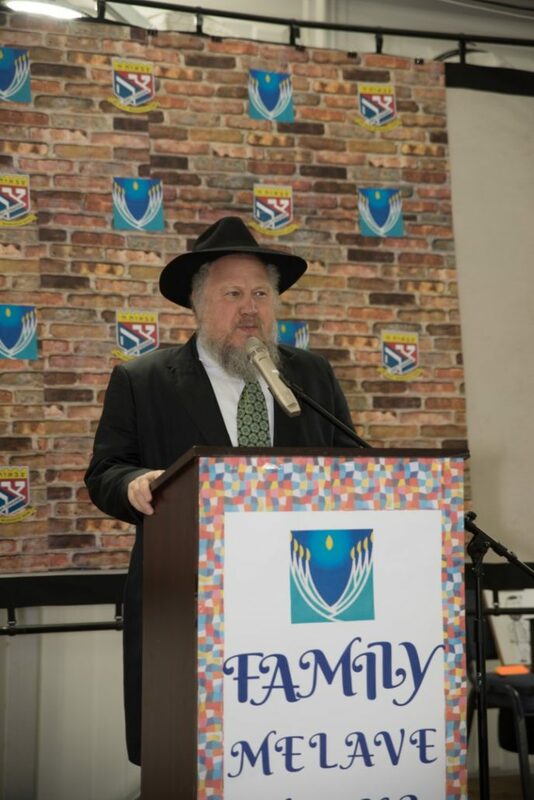 Rabbi Benzion Korf, Dean of Lubavitch Educational Center, chronicled the tremendous growth of LEC, expressing his gratitude to Hashem and to the participants. 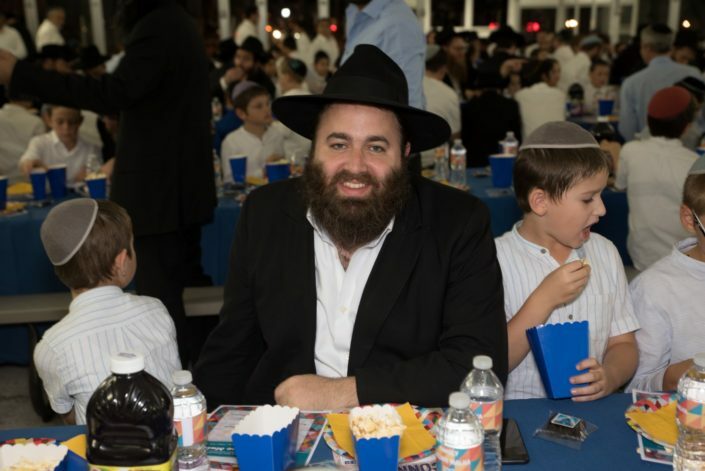 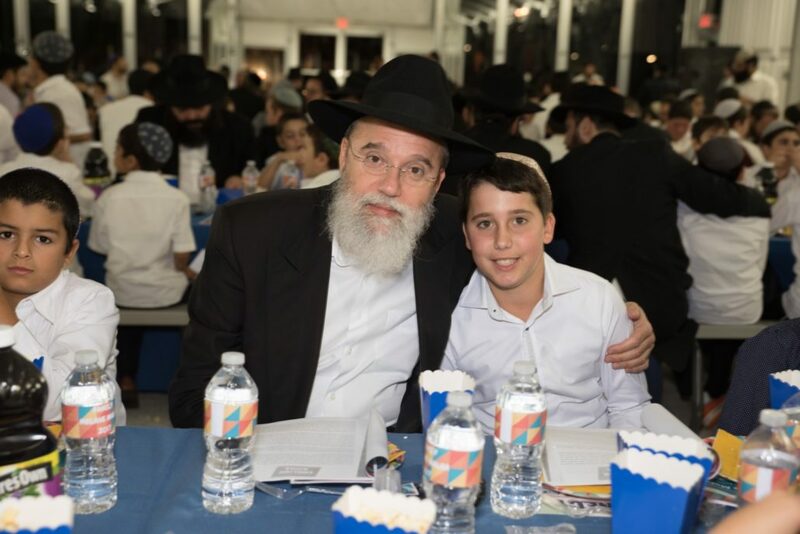 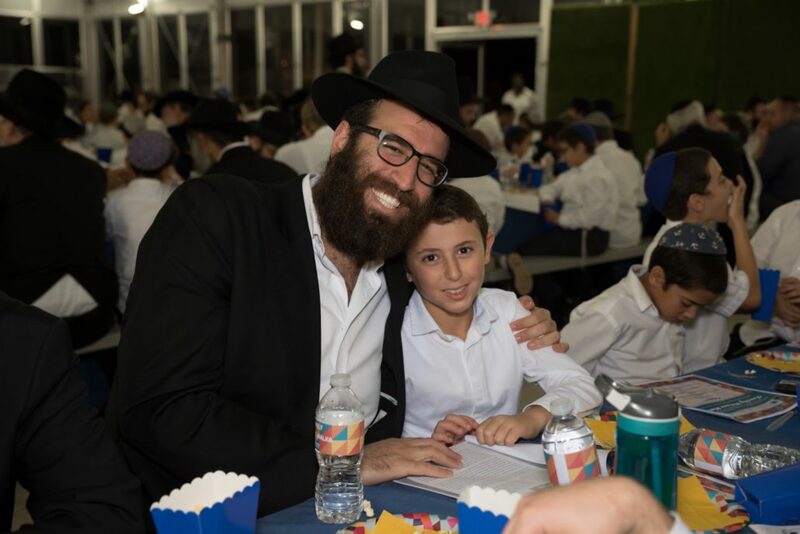 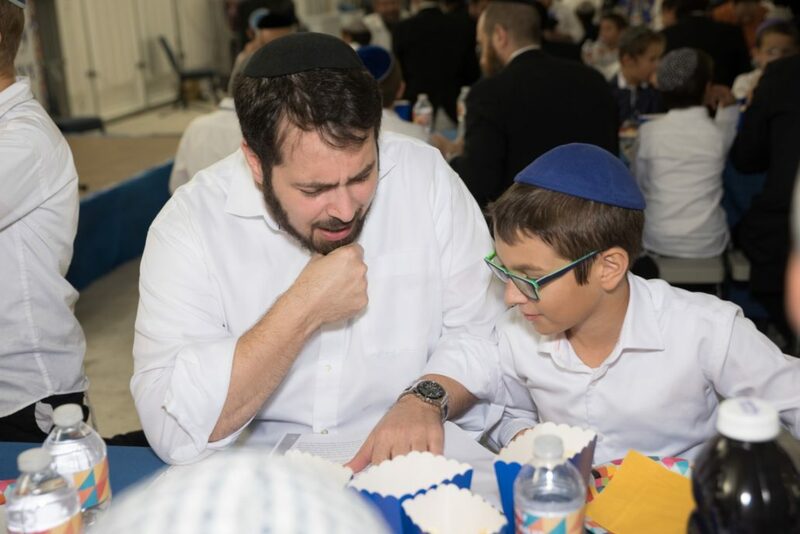 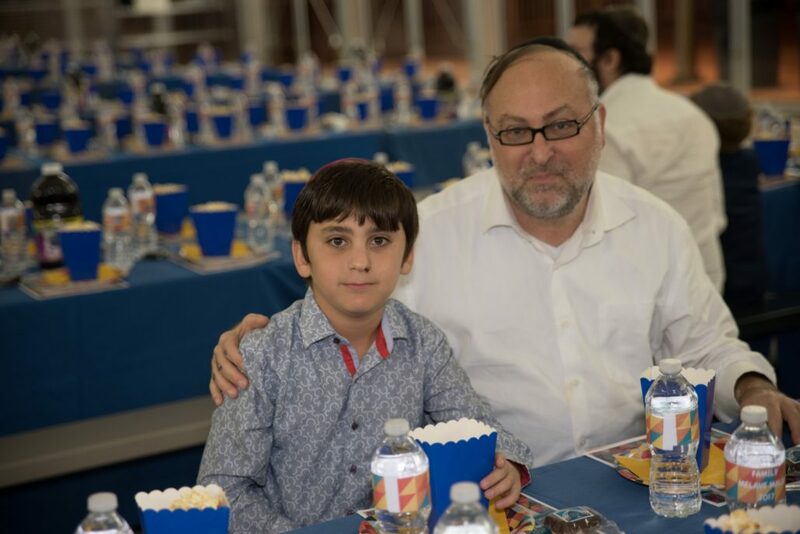 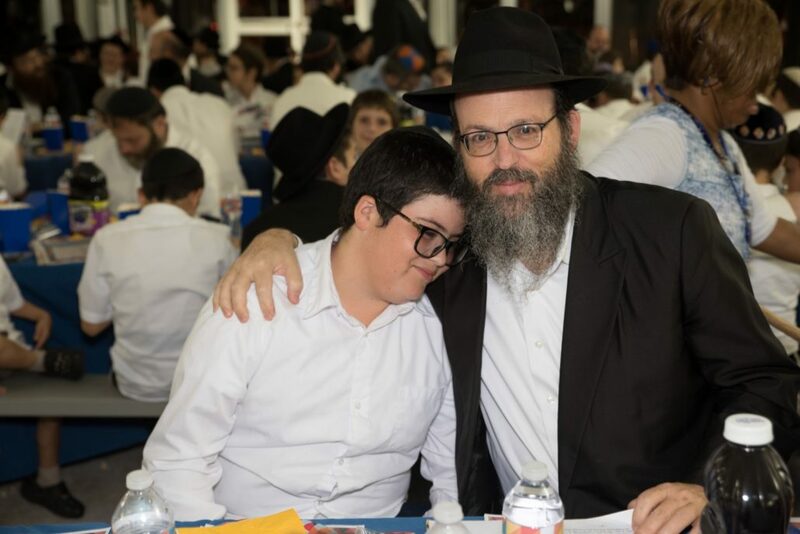 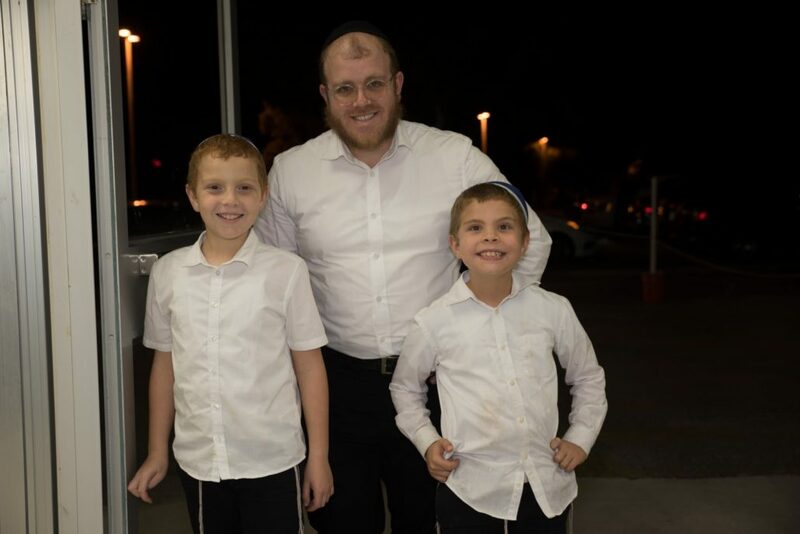 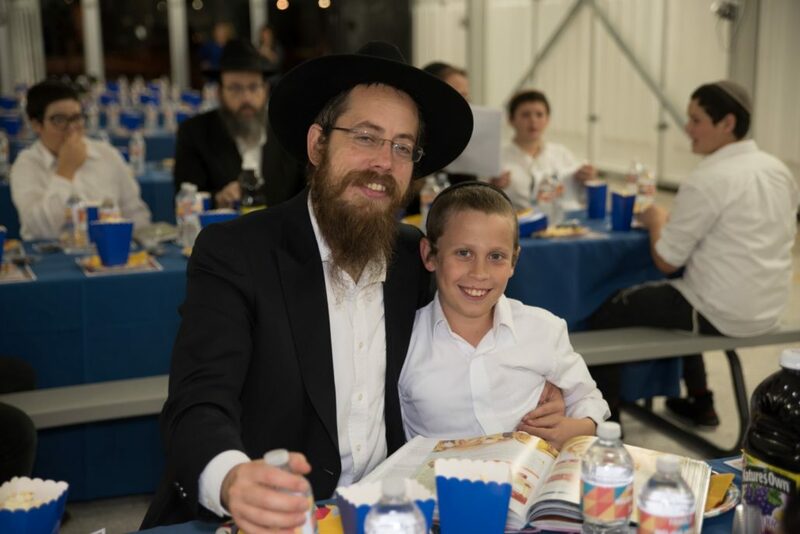 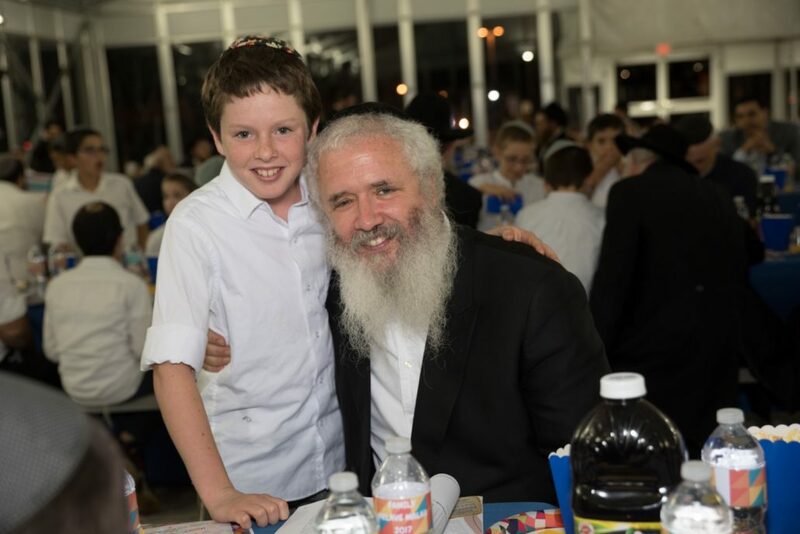 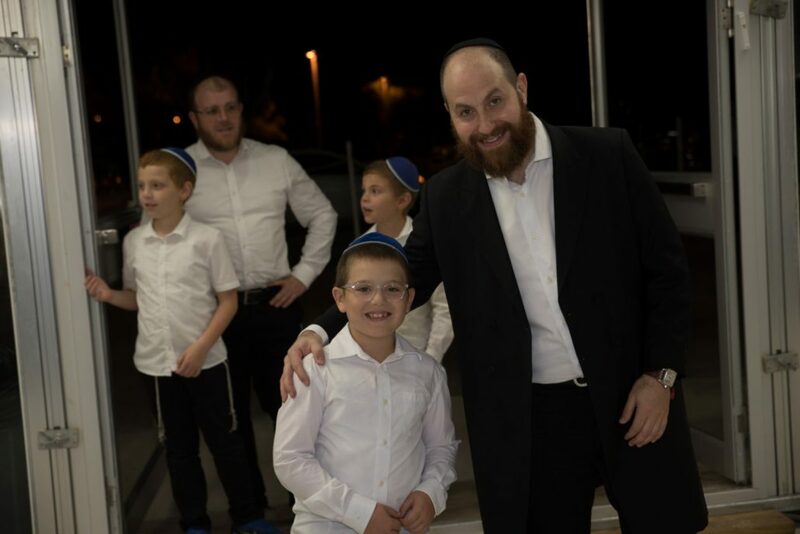 The event coordinator, Rabbi Yakov Garfinkel, related the tremendous achievements the students have made in Tzivos Hashem, and, in particular, the selfless and inspiring act of a new student to LEC, Shimmy Wertheimer. 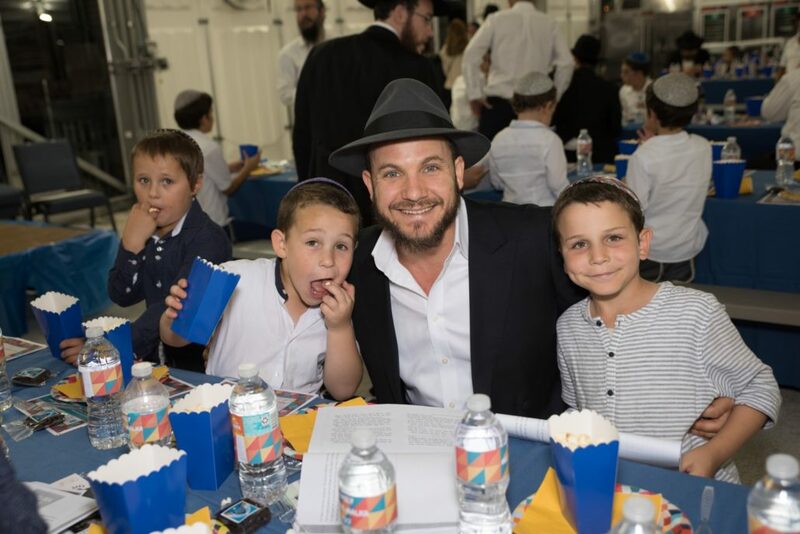 The evening culminated with a performance by illusionist and entertainer Ilan Smith. The South African put on a show that left many wondering “How did he do that?” Students were then able to take promotion pictures with Rabbi Shimmy Weinbaum in recognition of their accomplishments in Tzivos Hashem. 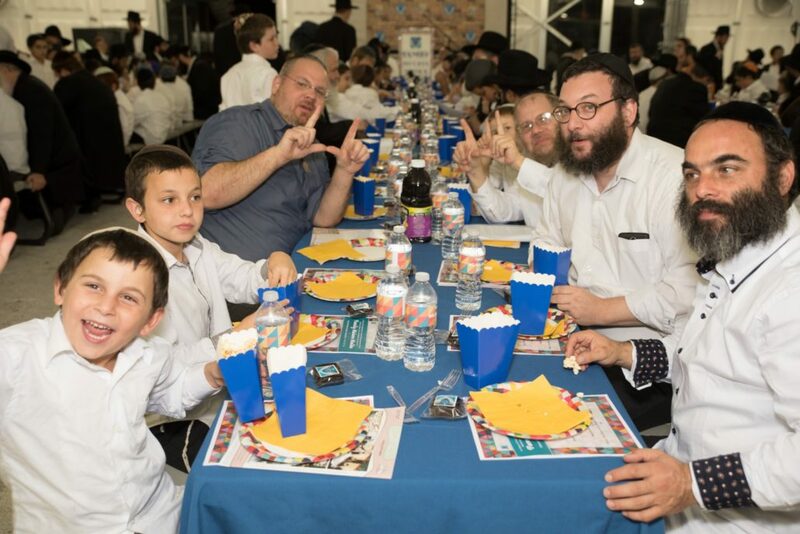 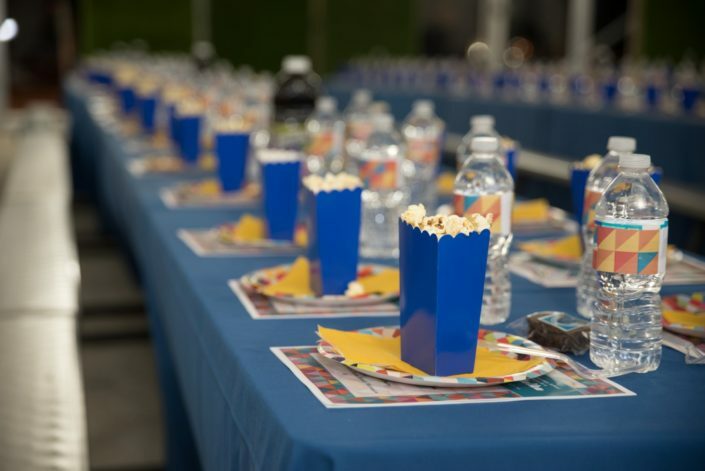 We extend our sincere gratitude to those who made the melave malka possible. 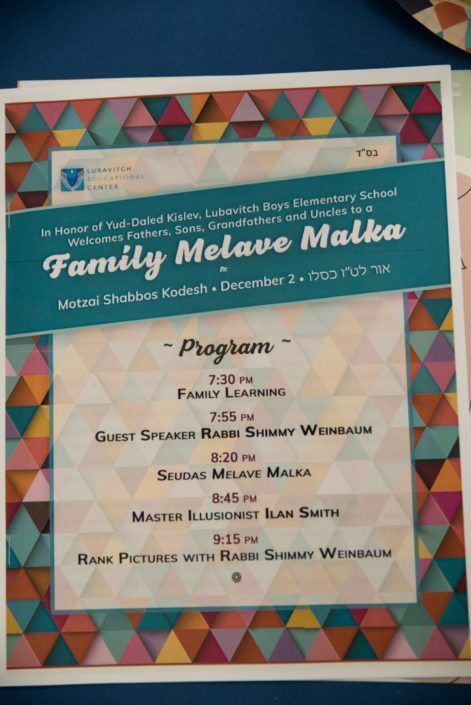 Thank you to Chaya Mushka Amar, Shayna Bortunk, Ayelet Bortunk, and Avremi Rosenthal for their assistance in creating an evening that was moving, inspiring and fun!